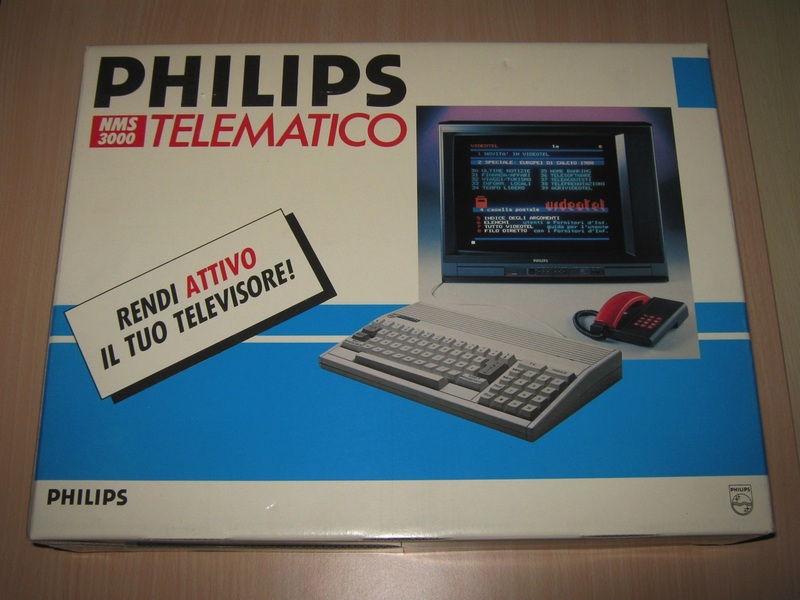 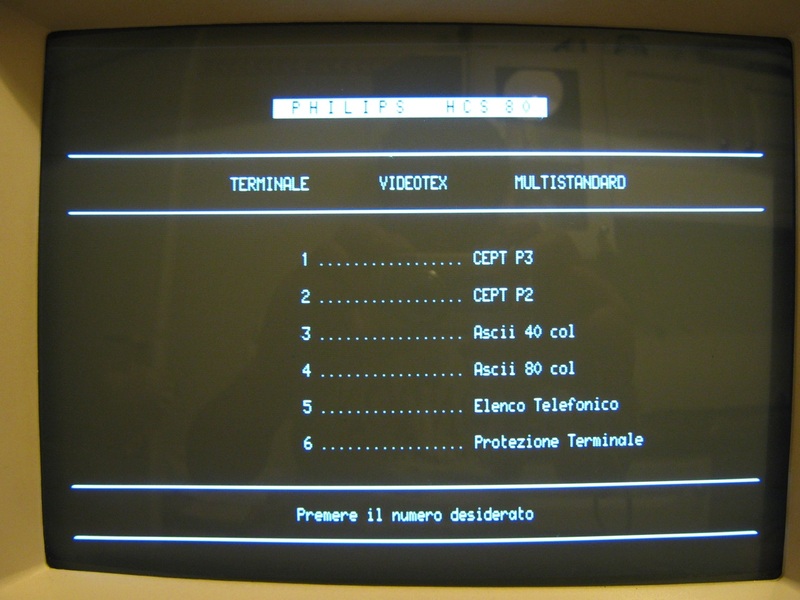 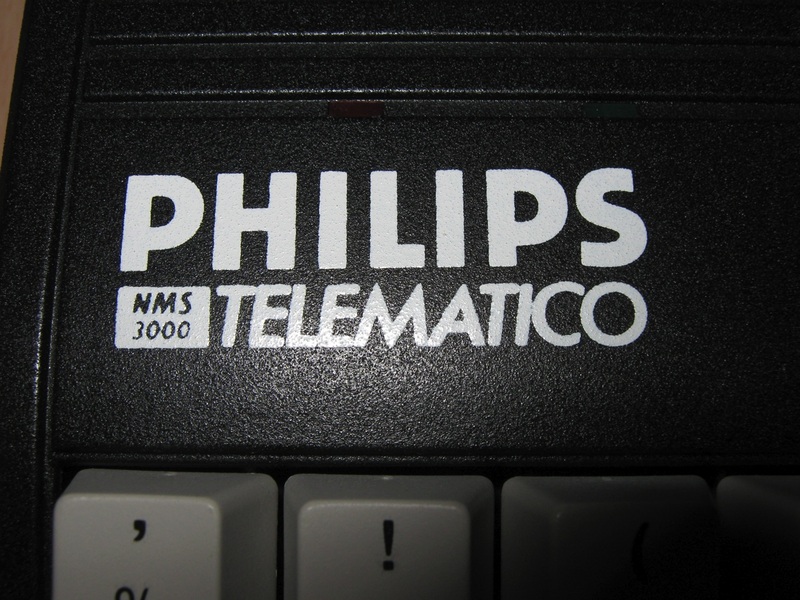 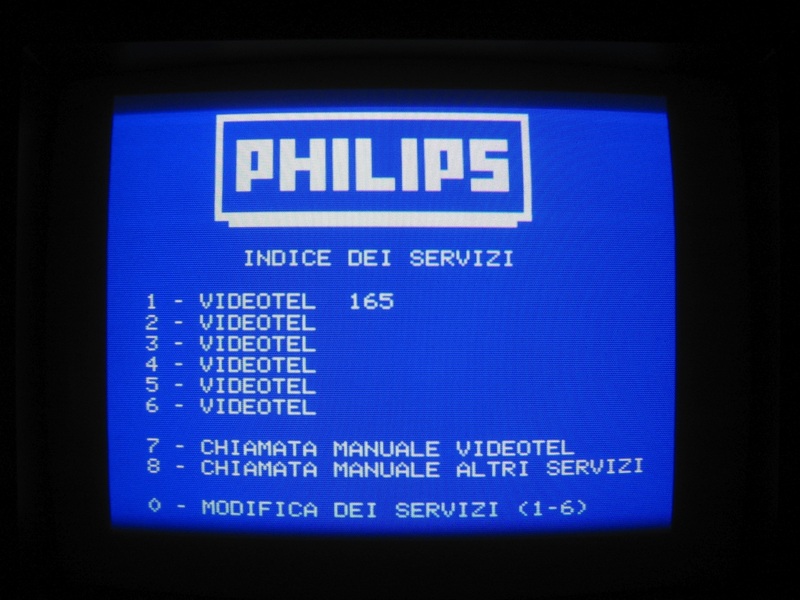 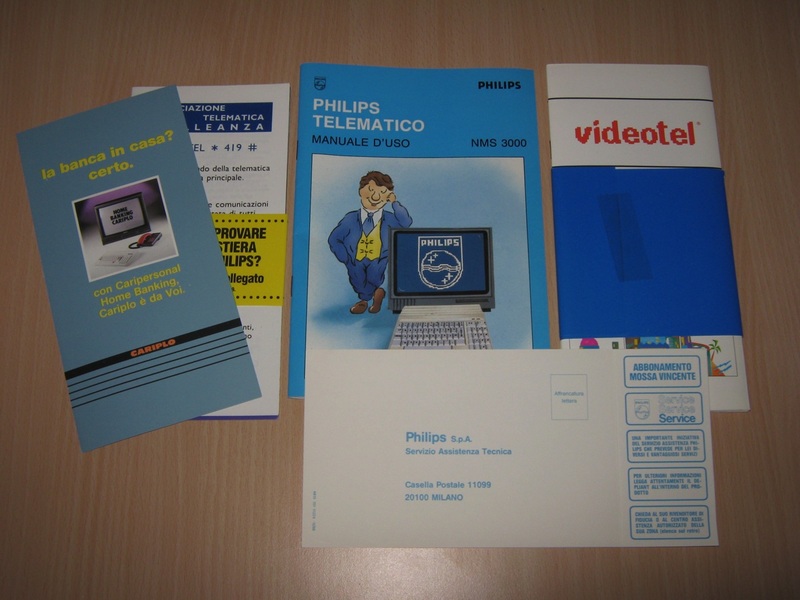 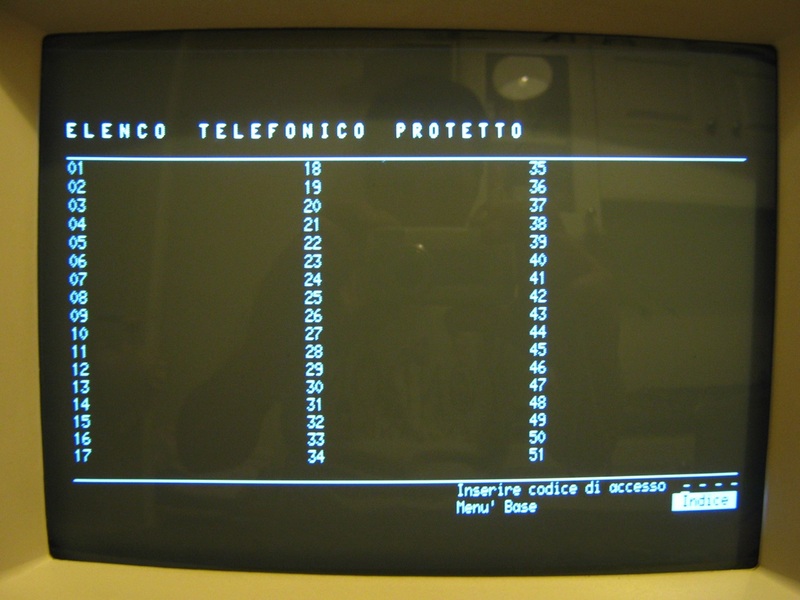 The Philips NMS-3000 and 4000 are two video terminals dedicated to the Italian Videotel network, a precursor to the Internet which enabled each Italian family to access large databases as well as sending messages to one another. 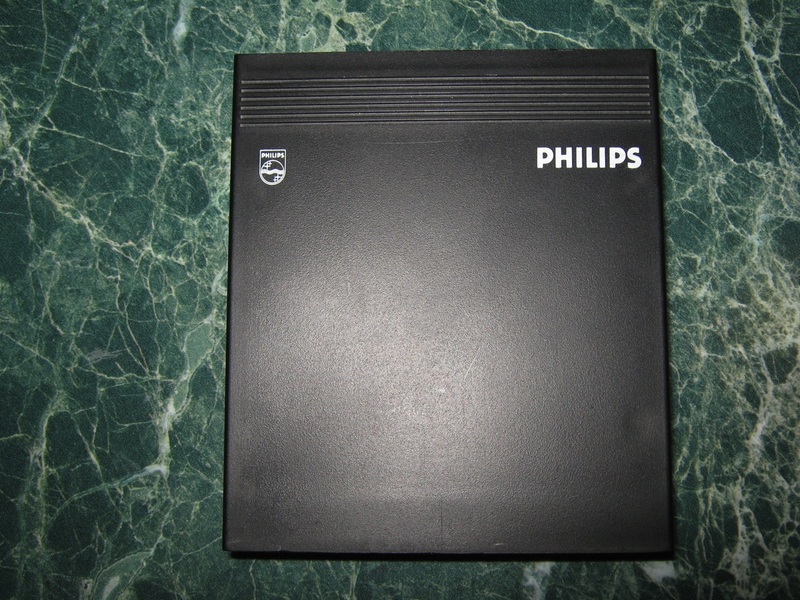 The Philips P2000T home computer was Philips’ first real entry in the home computer market, after the Philips Videopac G7000 game system (better known in the U.S. as the Magnavox Odyssey2) which they already sold to compete with the Atari 2600 and similar game systems. 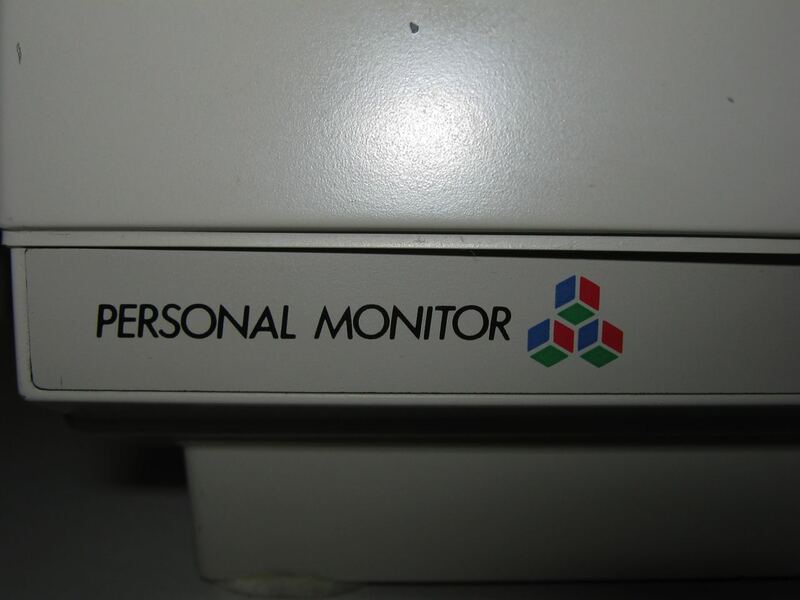 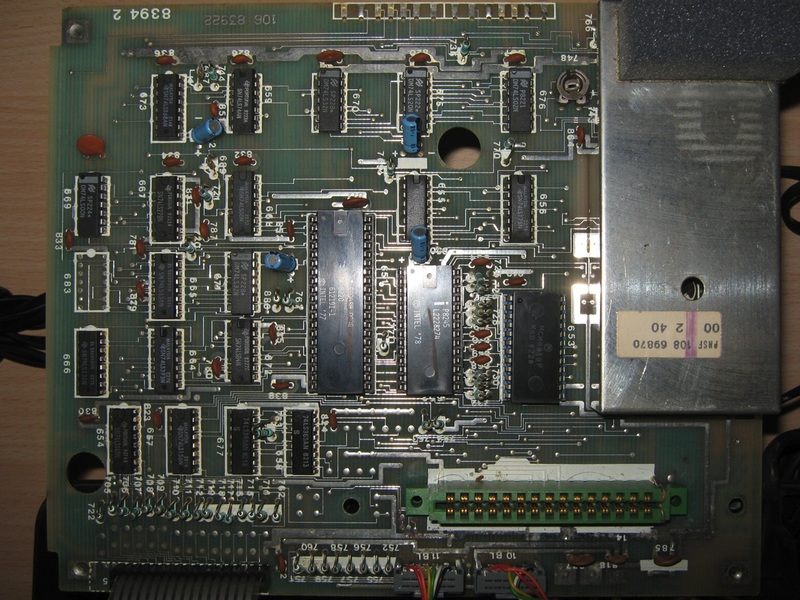 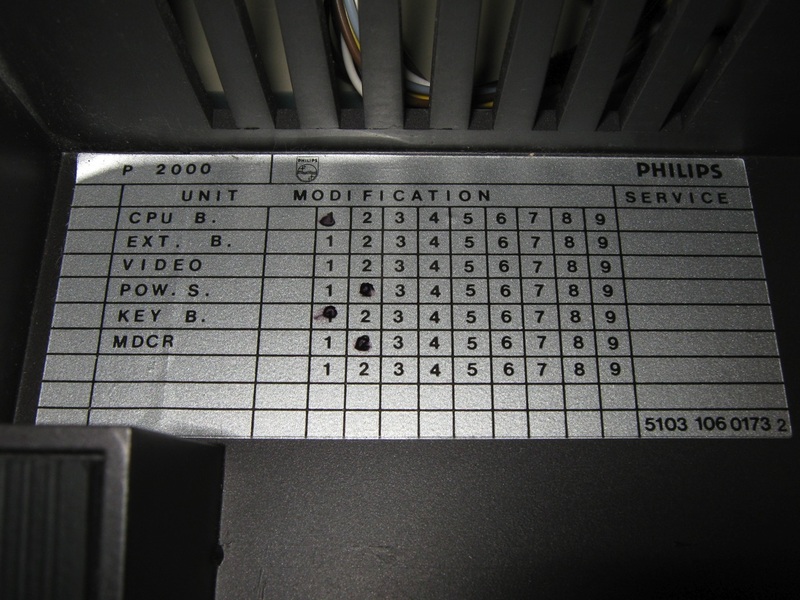 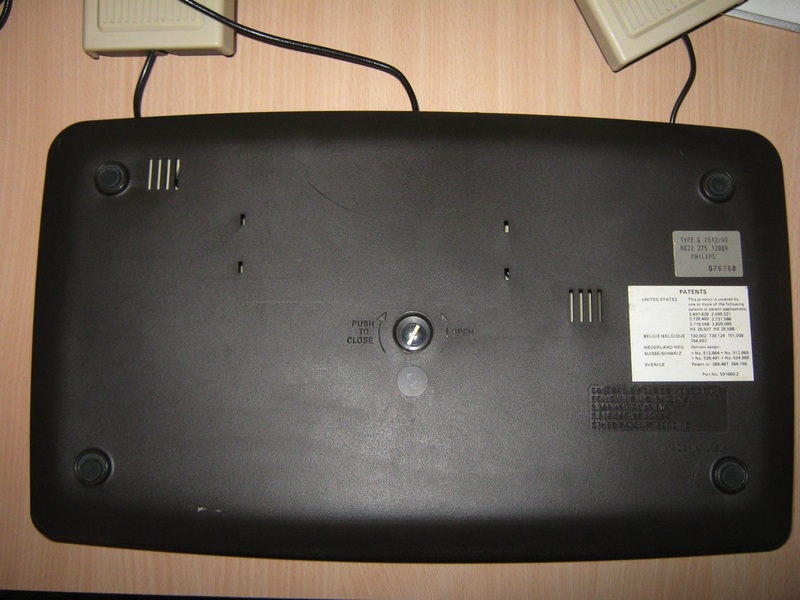 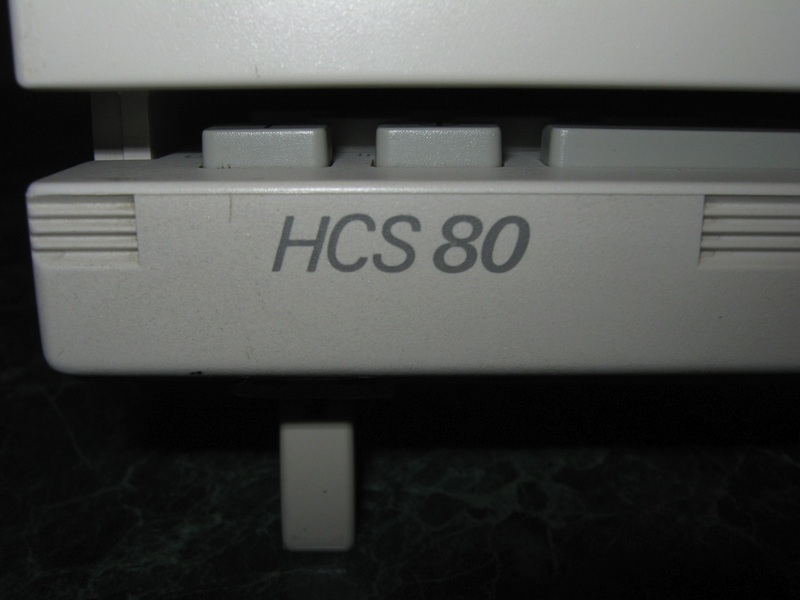 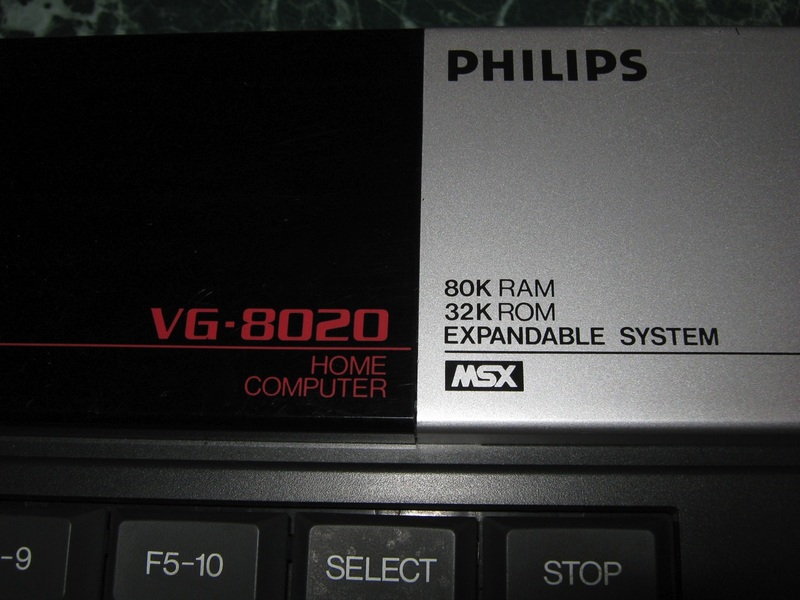 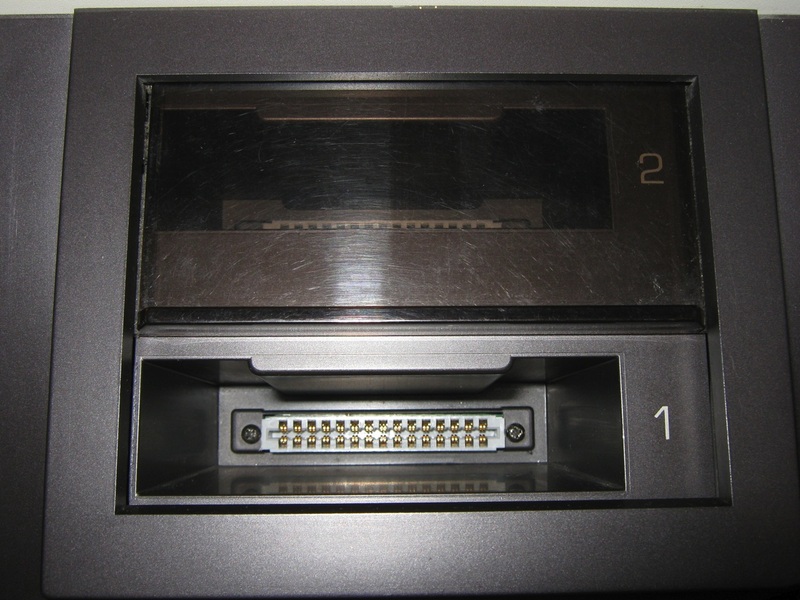 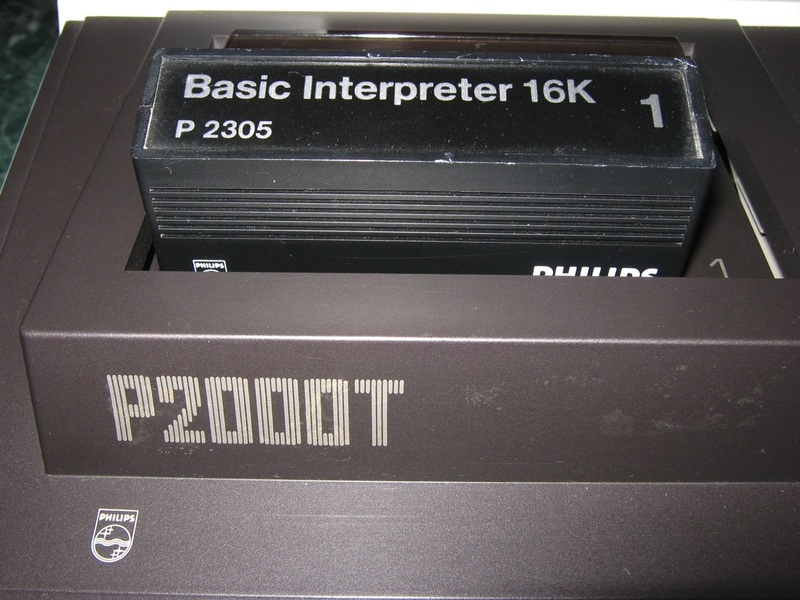 There was also an P2000M version with an additional 80-column card for use with a monochrome monitor. 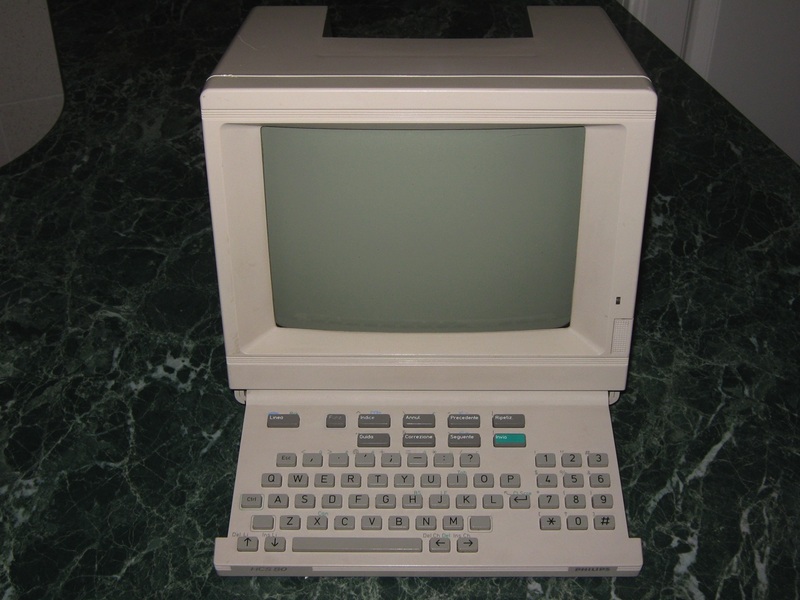 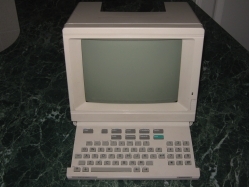 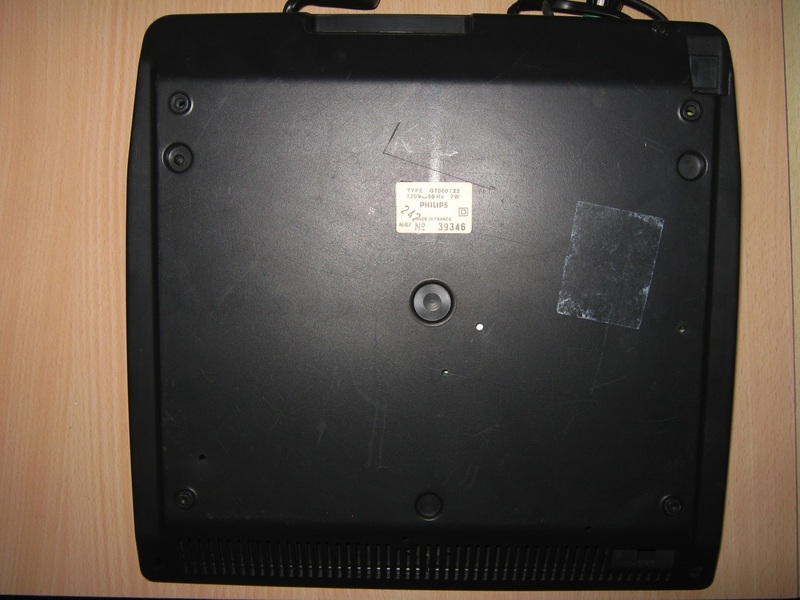 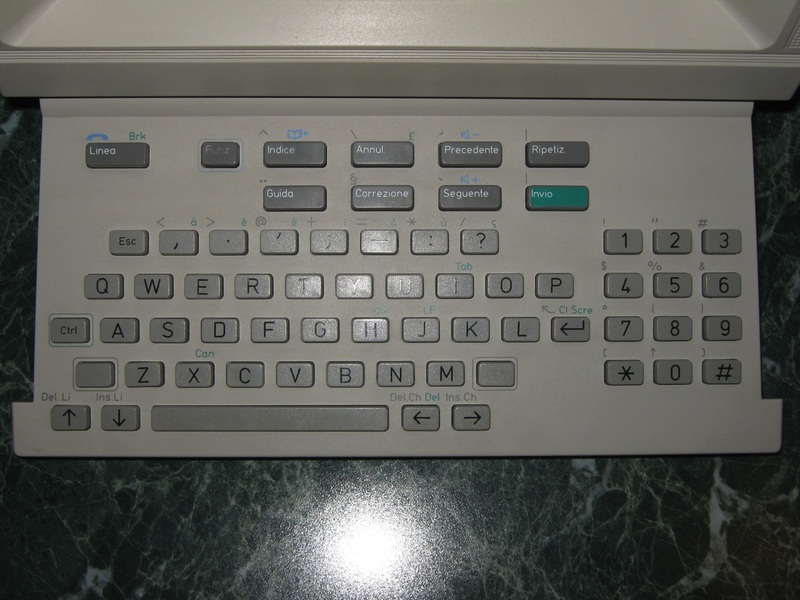 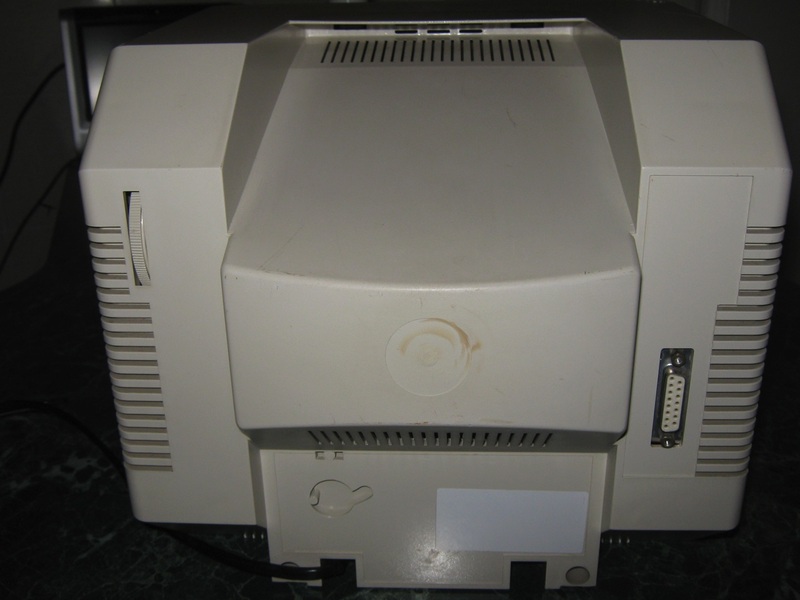 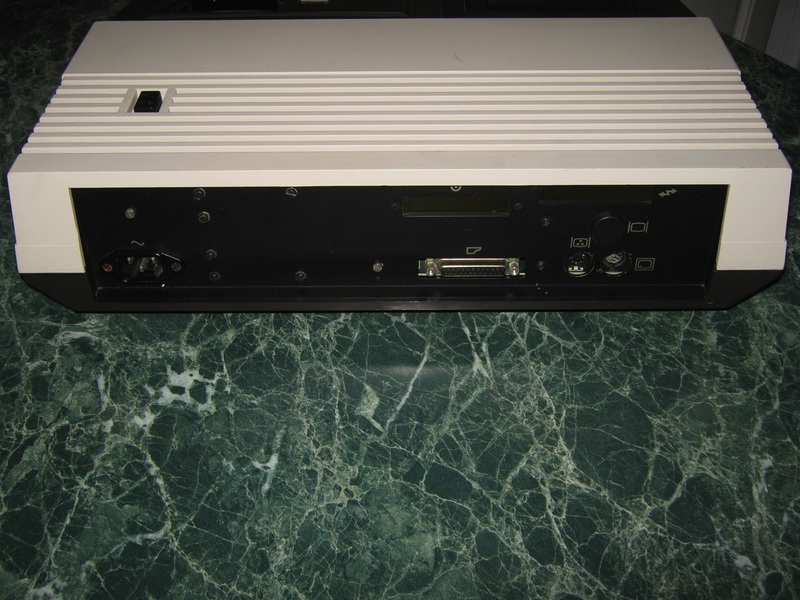 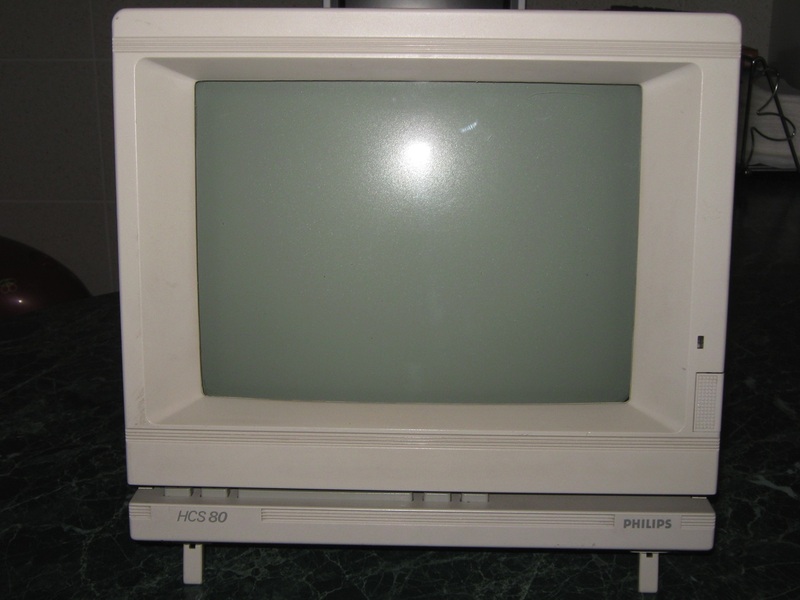 This version shipped with a monitor cabinet also housing a dual 5.25″ floppy drive. 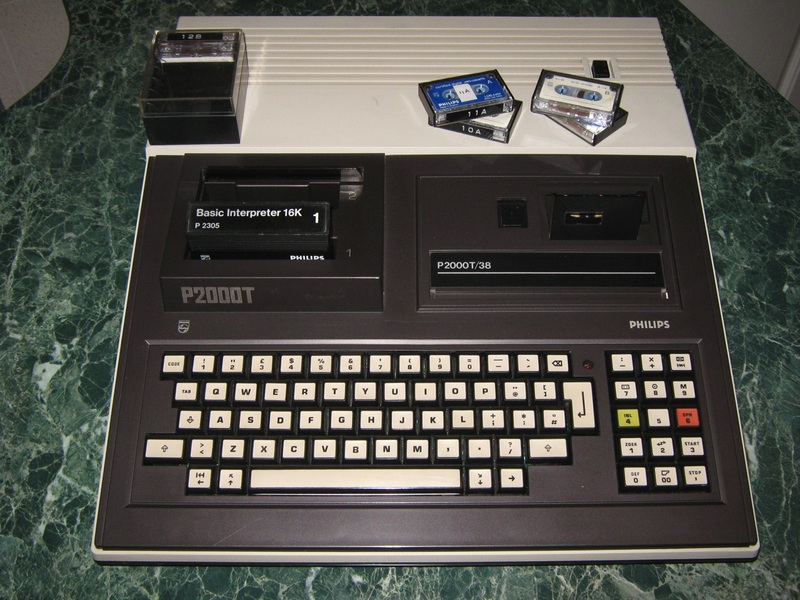 Basically the P2000T was a Z80 based home computer that used a Teletext display chip to produce the video picture and a small Mini Cassette recorder for mass storage (42 kByte). 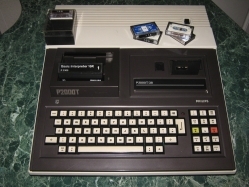 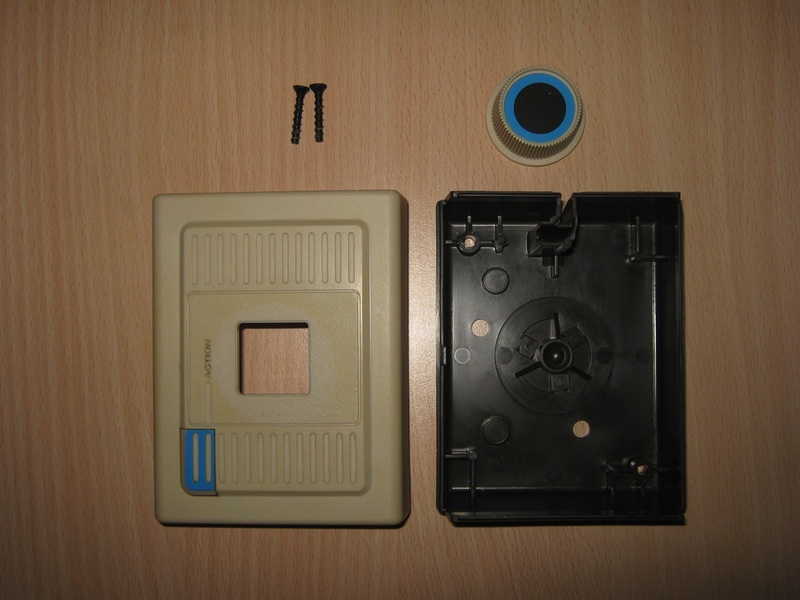 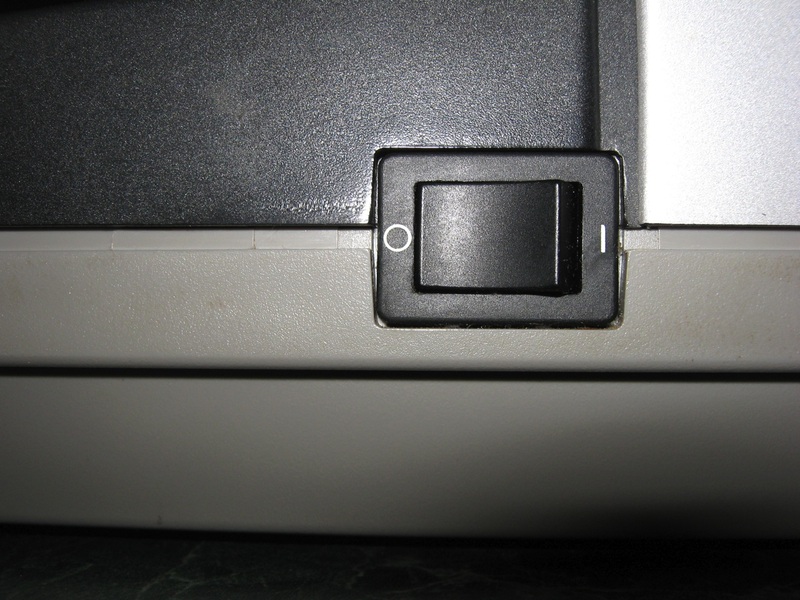 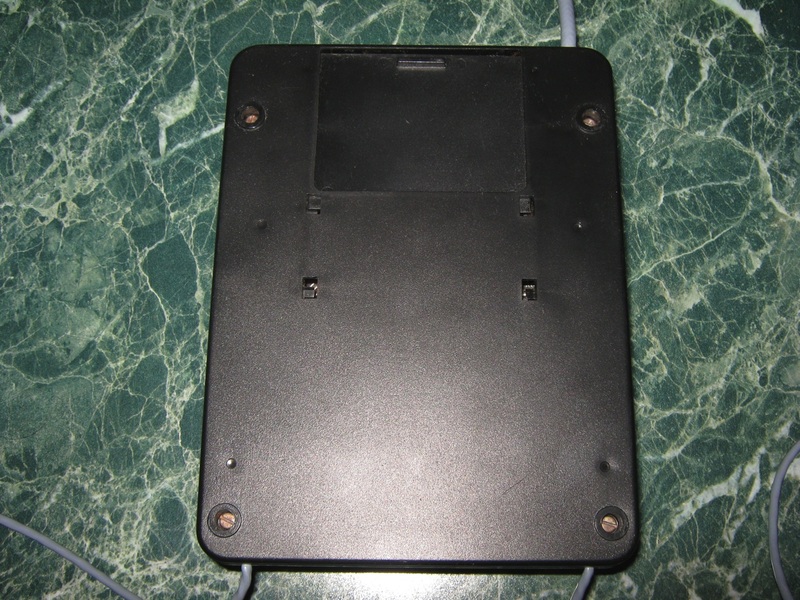 The mini cassette was seen as a floppy drive from the user perspective using the automatic search for a program (CLOAD command) or free space (CSAVE). 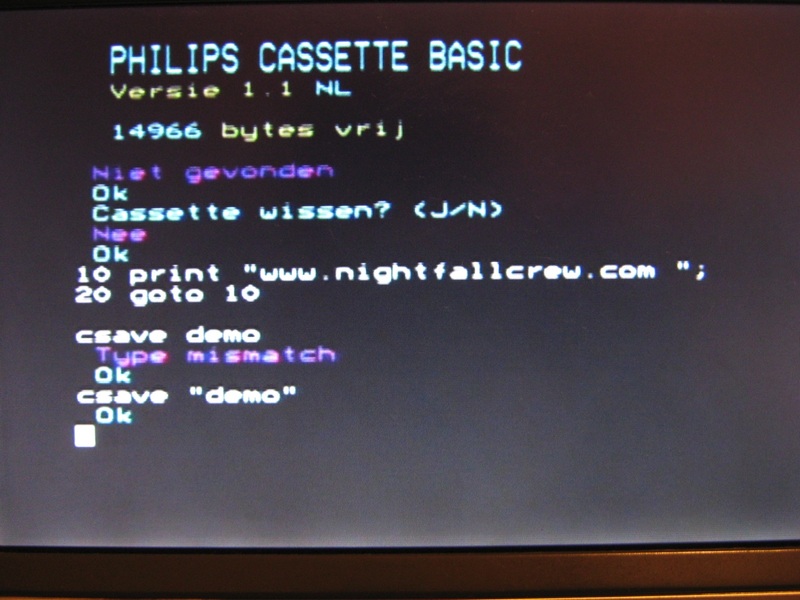 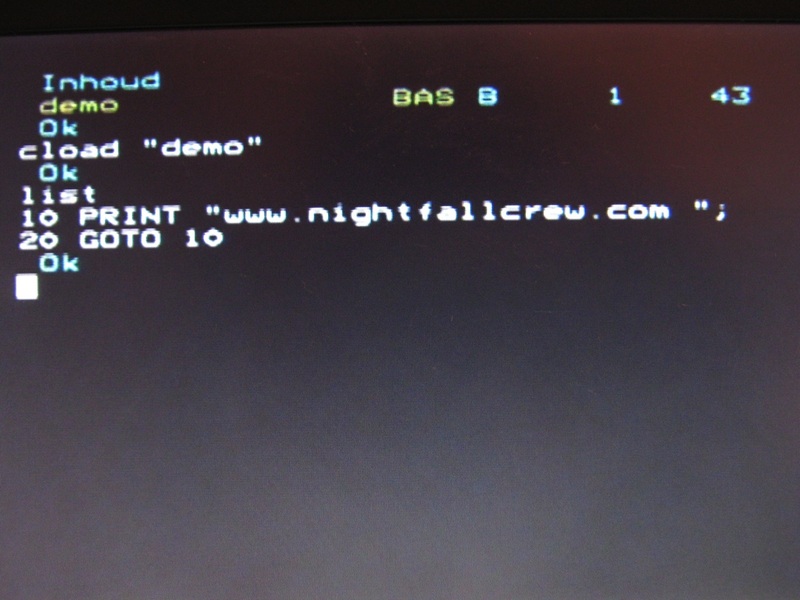 A command to display the directory of the cassette does also exist. 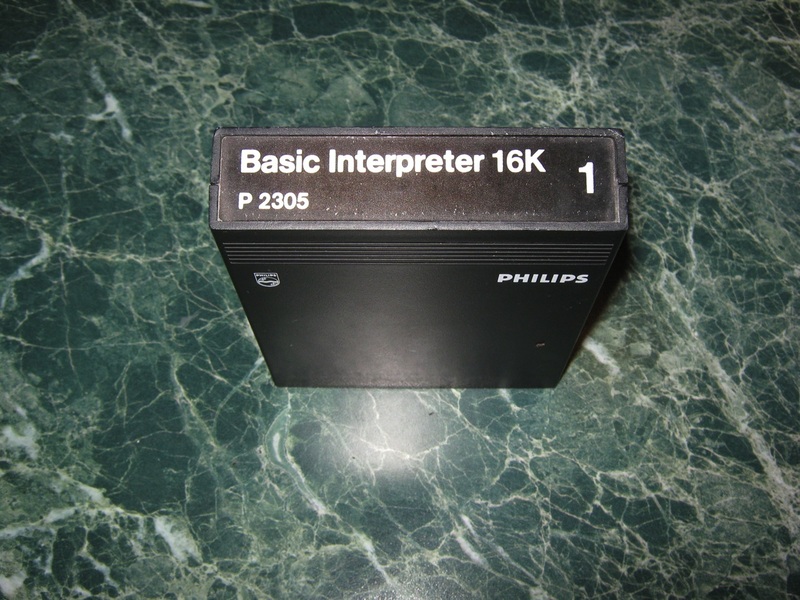 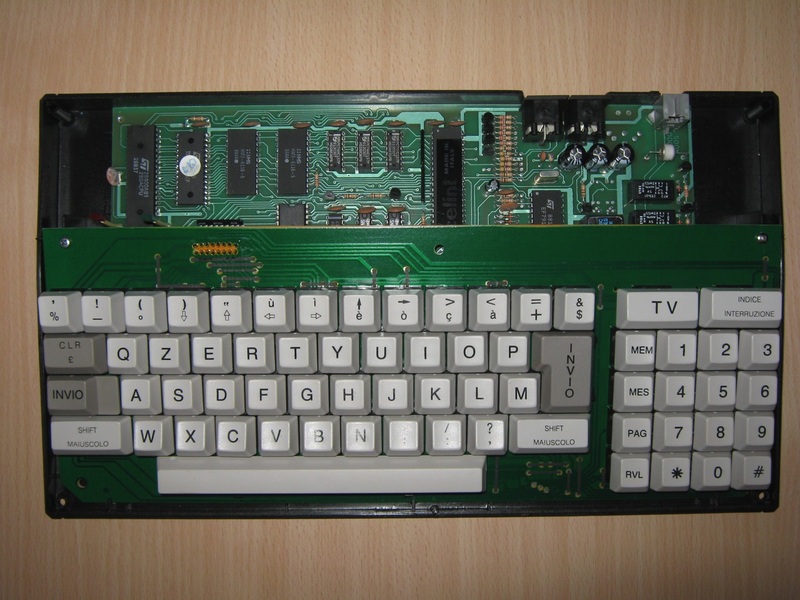 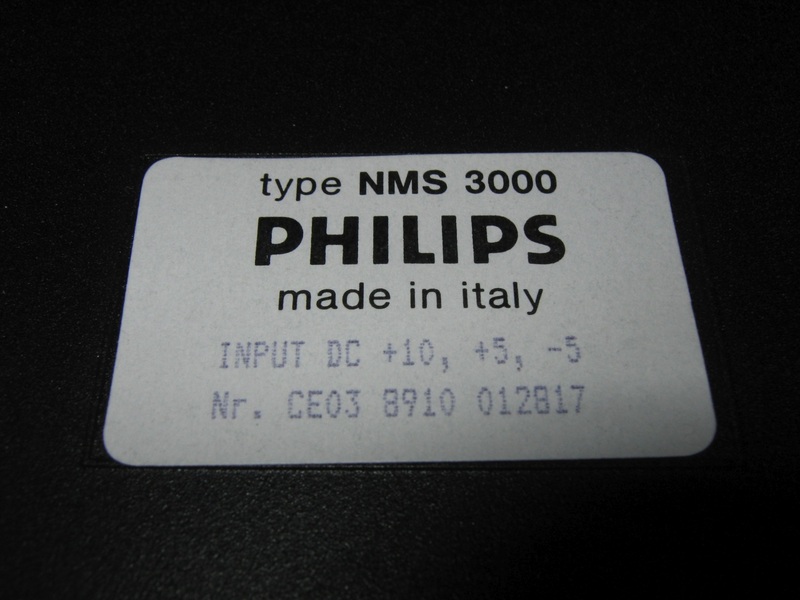 Philips used components they already produced for other markets (television sets and dictation machines) to quickly design a small computer system. 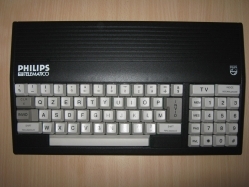 It was partially designed by Austrian professor Dieter Hammer. 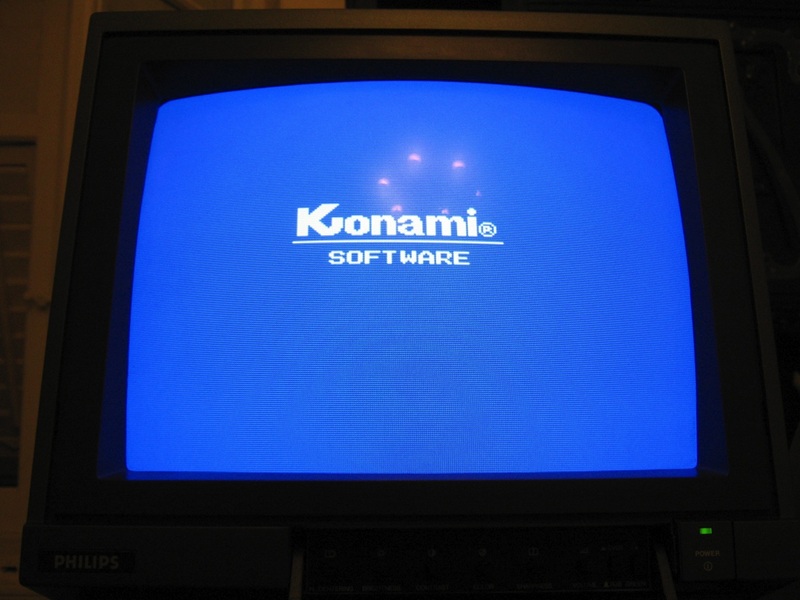 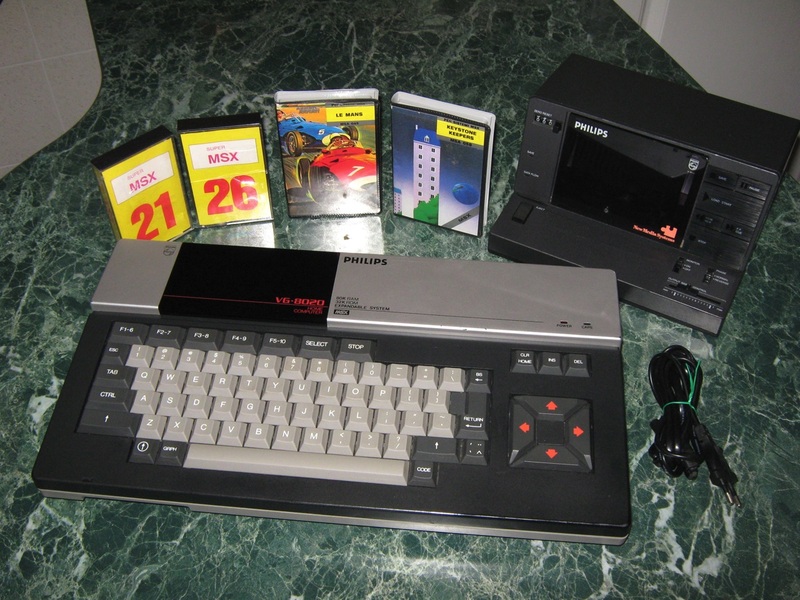 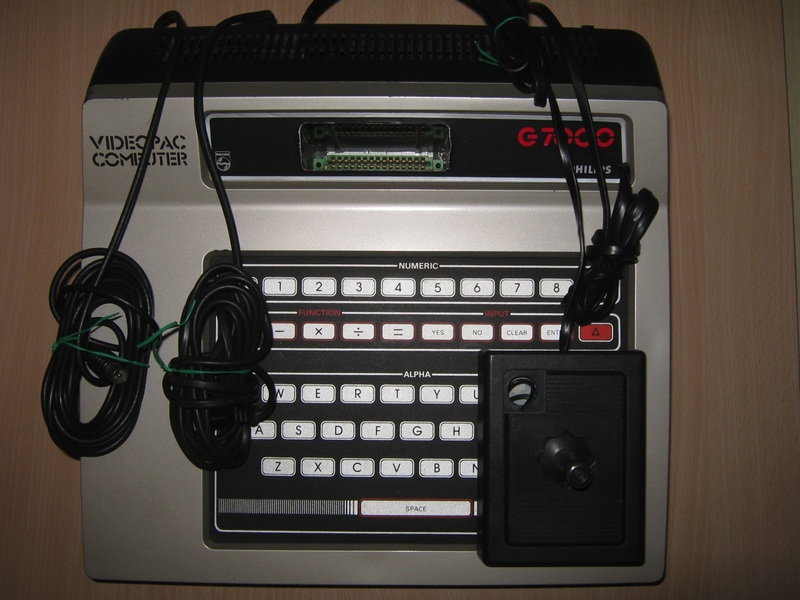 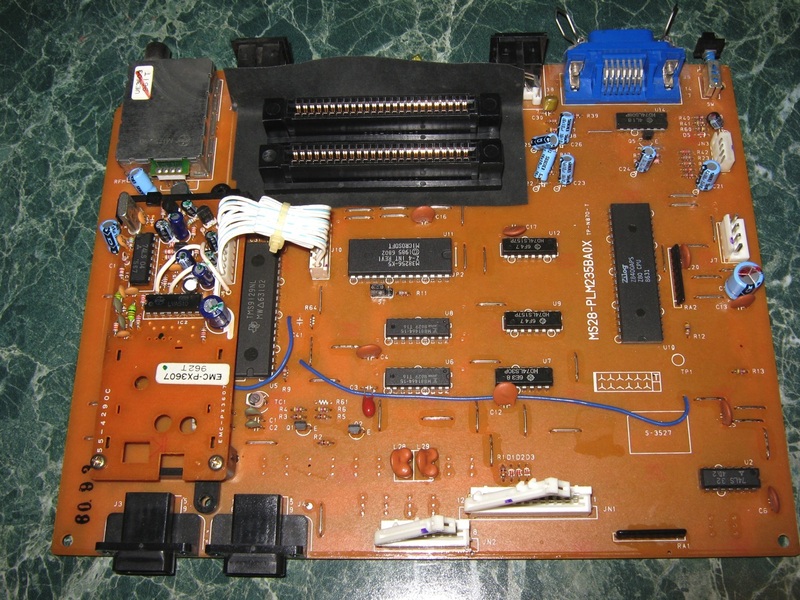 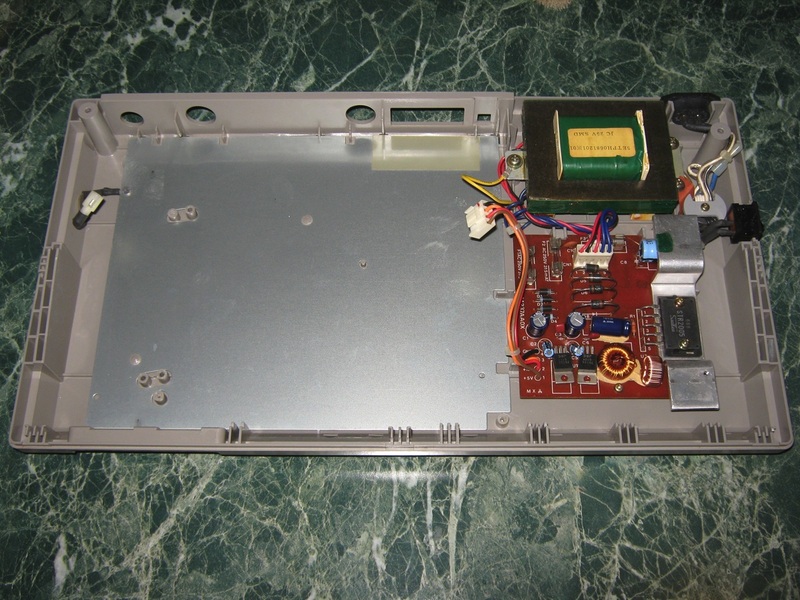 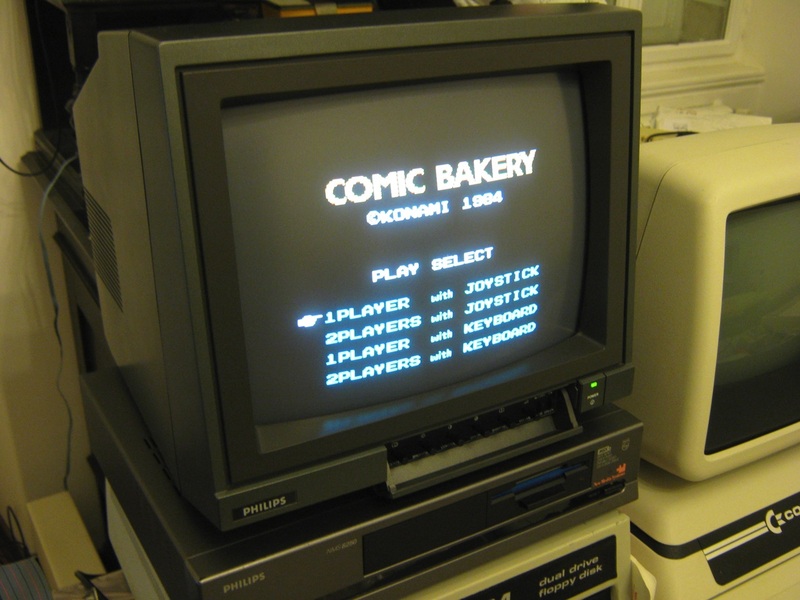 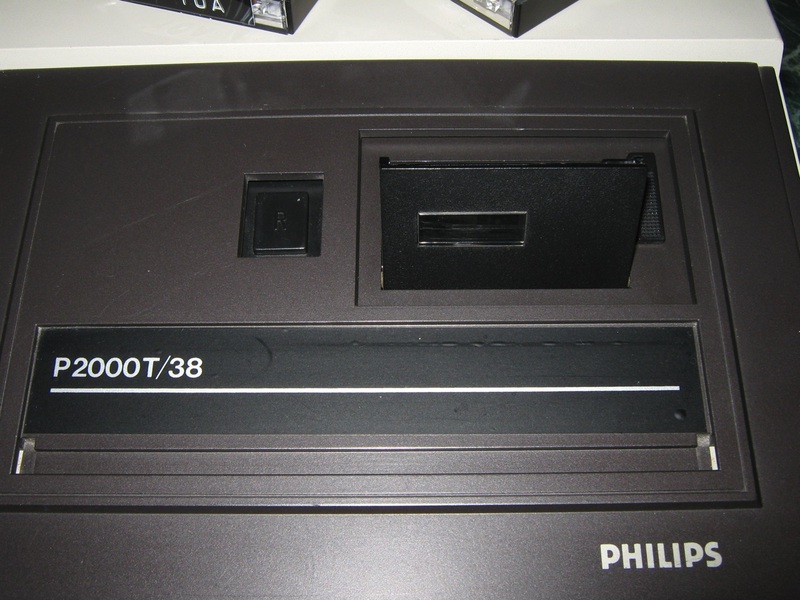 They also copied the ROM cartridge system from their Videopac G7000 game system. 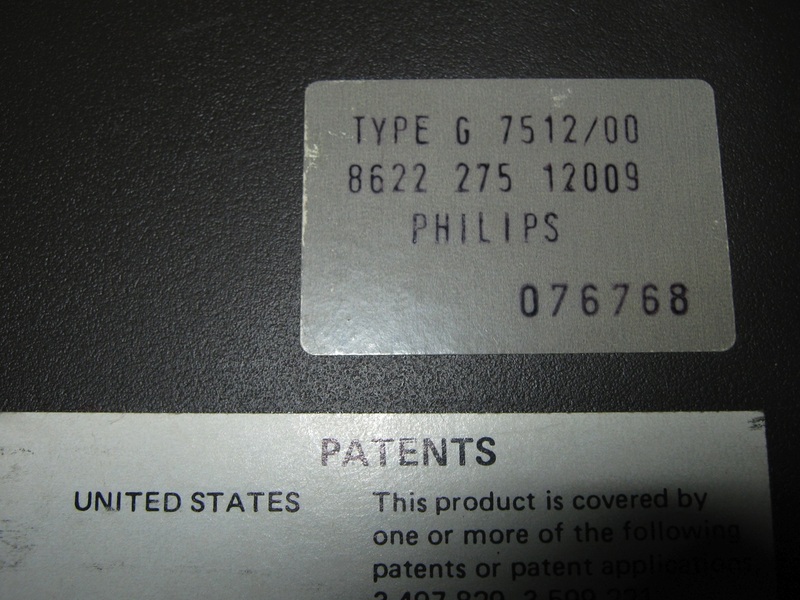 One of these cartridges contained Microsoft BASIC. 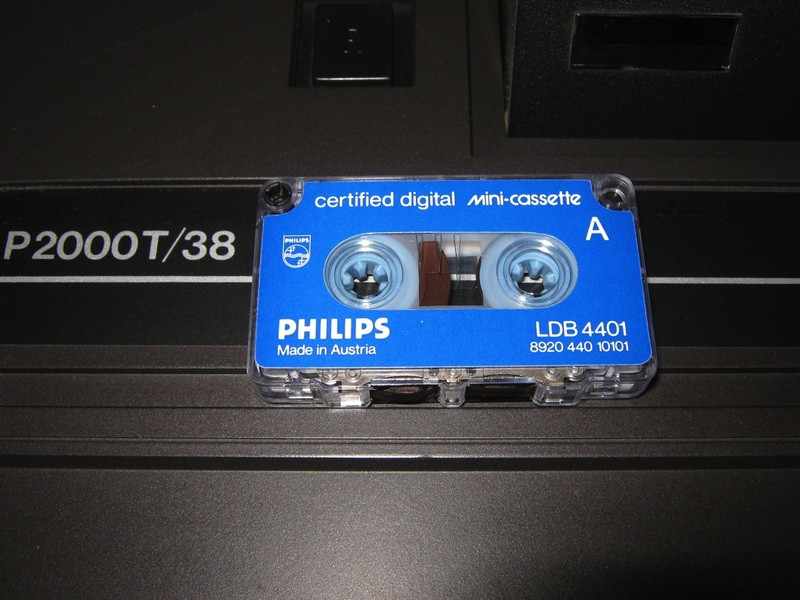 It was also possible to use cassette tape floppys. 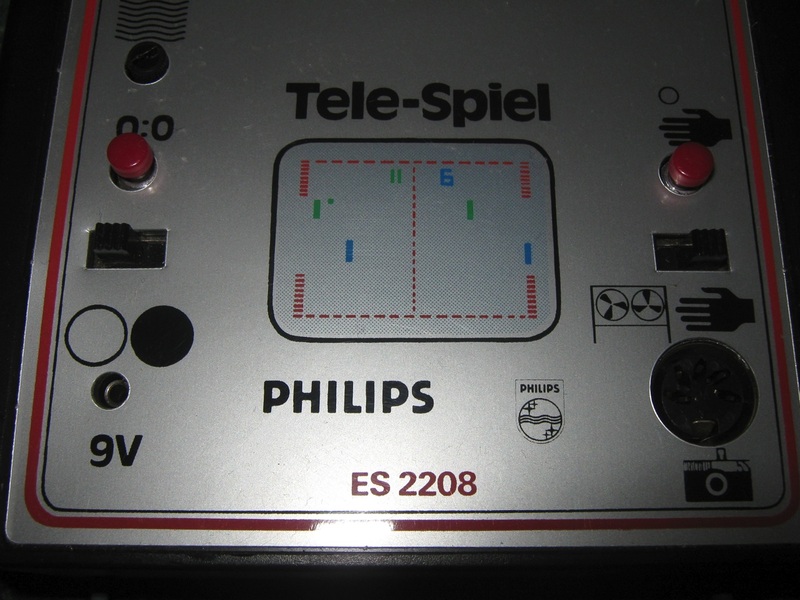 This pong from Philips (1977) is a bit special. 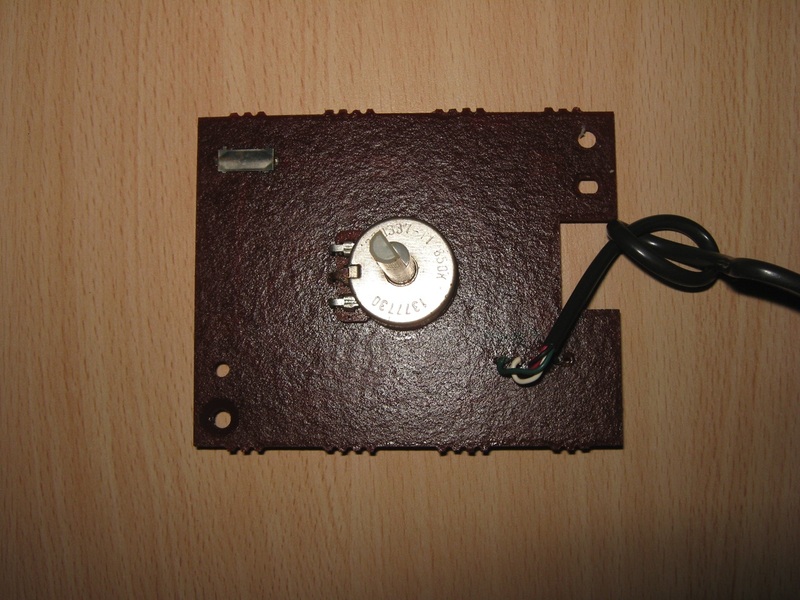 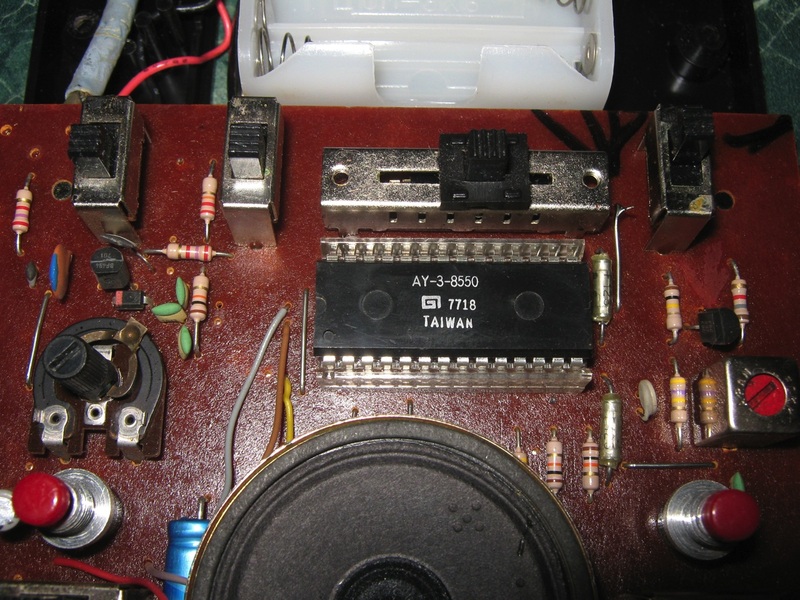 It uses the unusual AY-3-8550 from General Instruments. 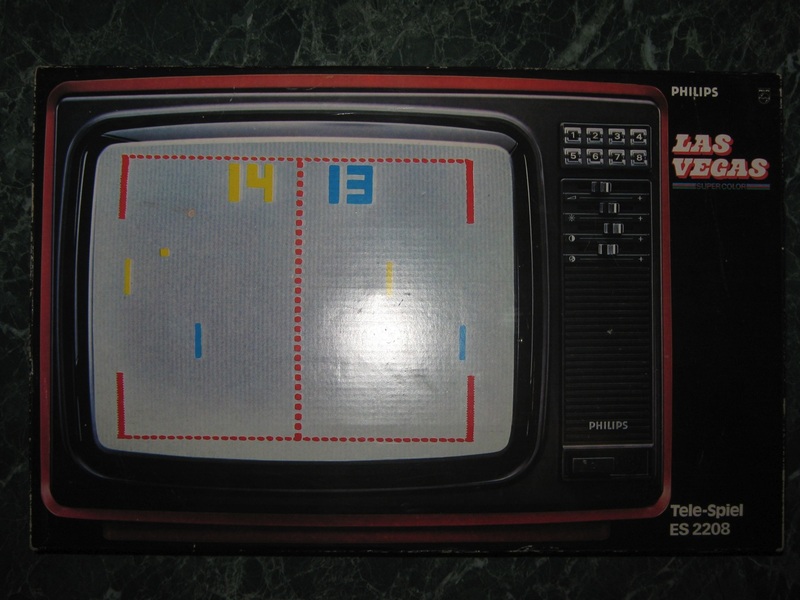 This chips offers 4 classic pong games (Tennis, Squash, Squash practice, Football) and 2 shooting games. 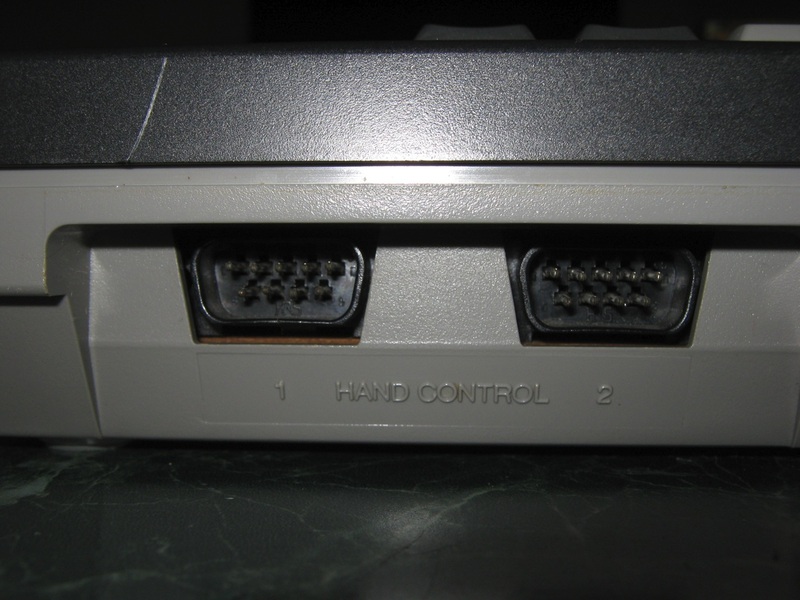 The paddles can be moved verticaly AND horizontaly, hence the analog joysticks (instead of the classic sliders). 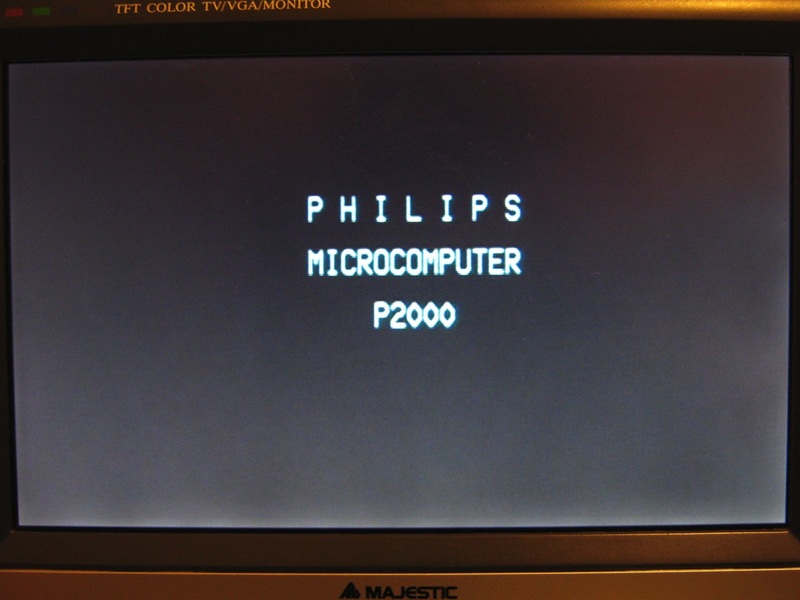 The display is in color. 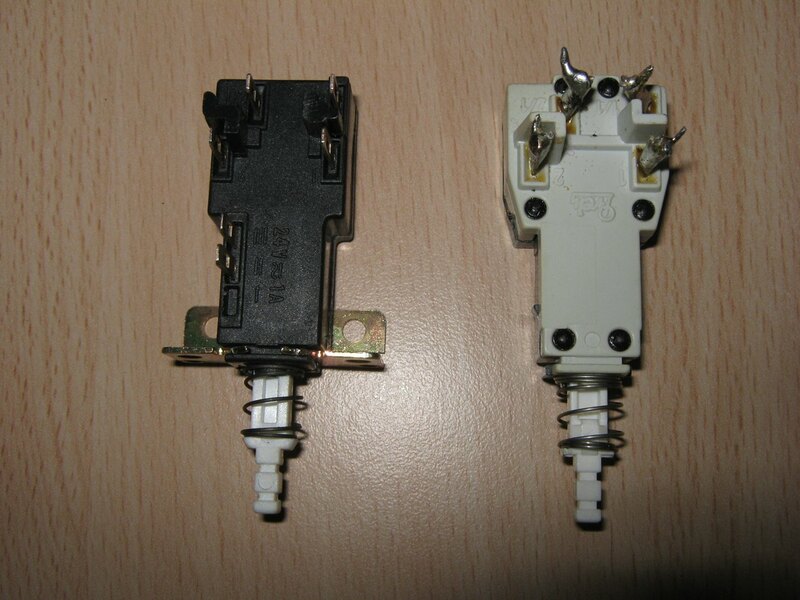 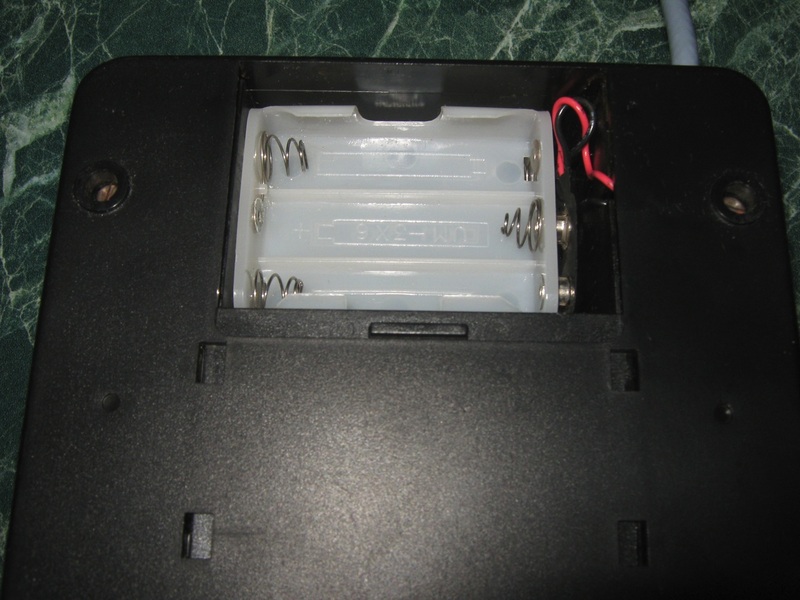 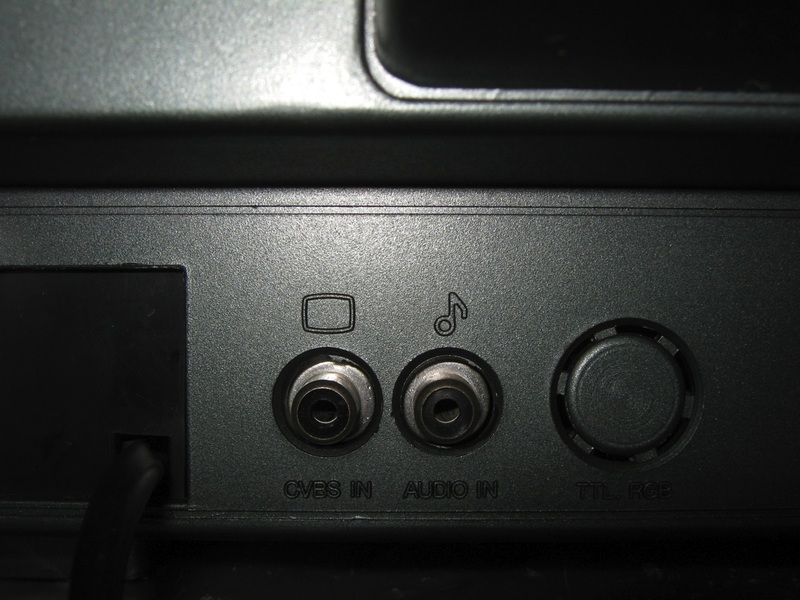 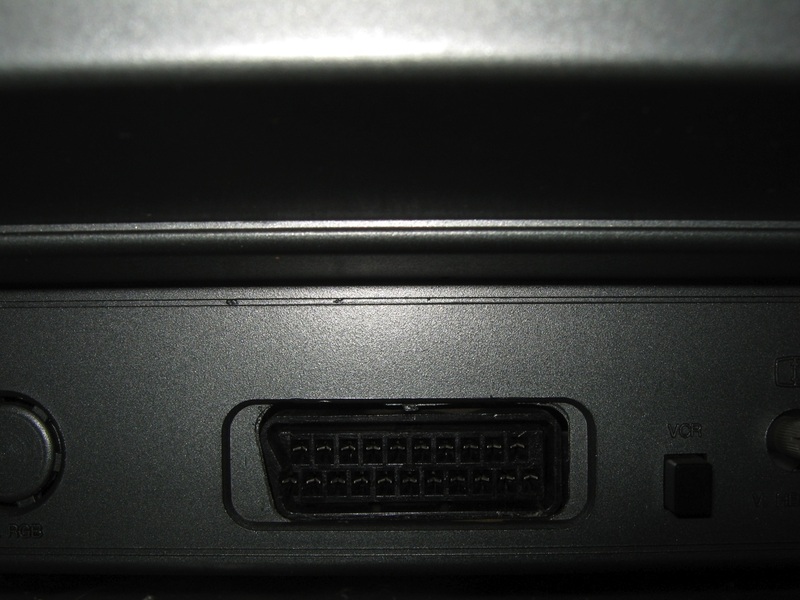 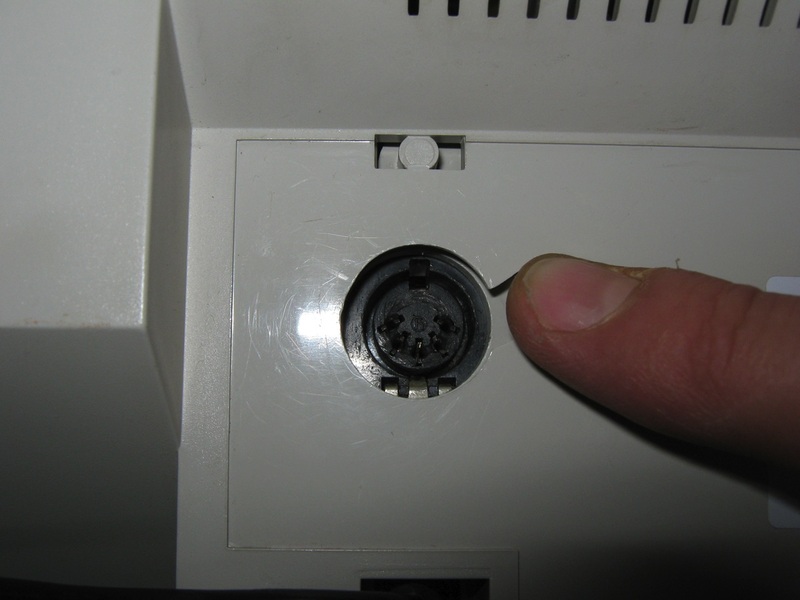 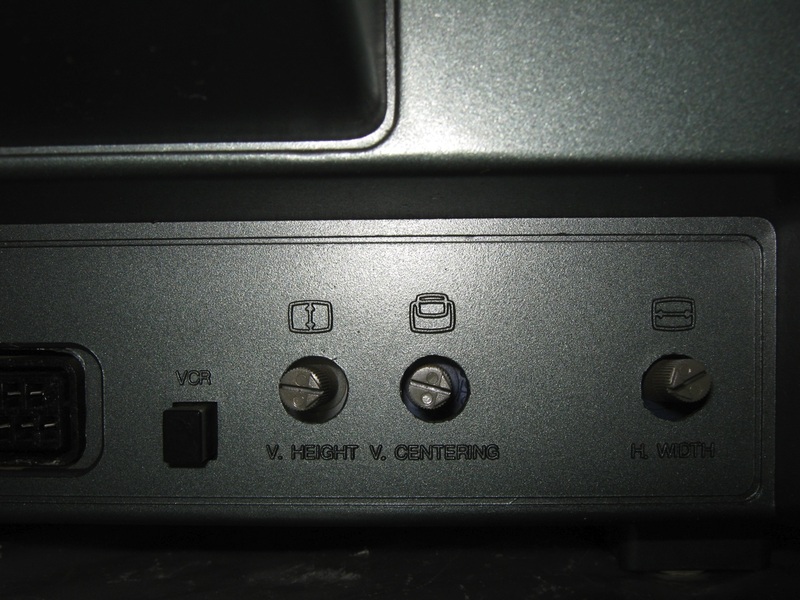 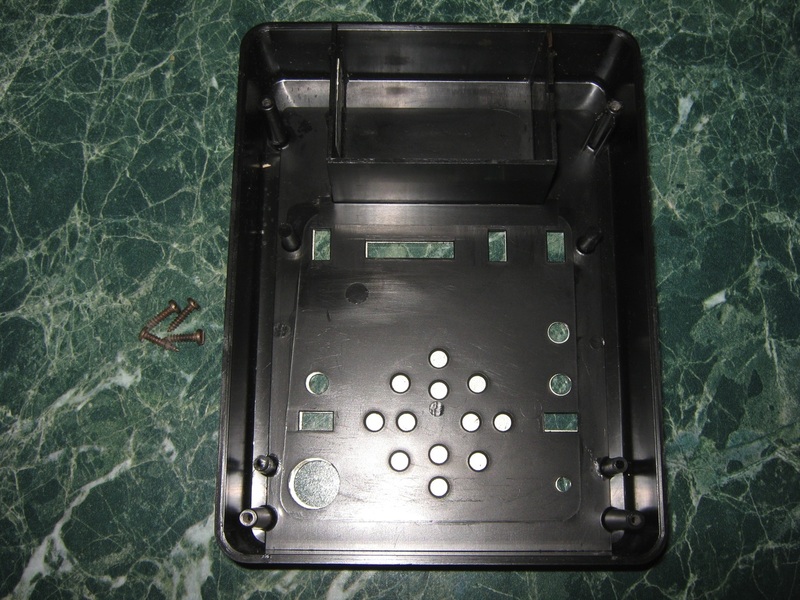 There is a female DIN plug at the bottom-right part of the case. 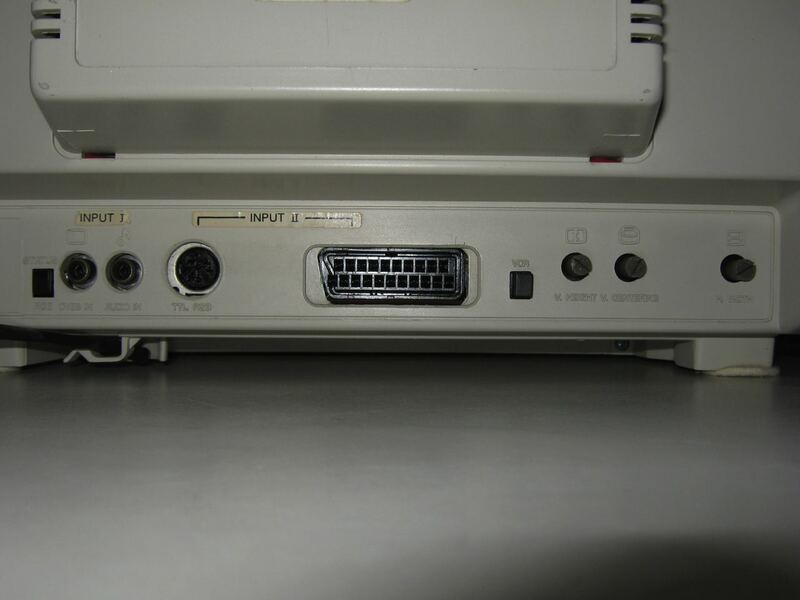 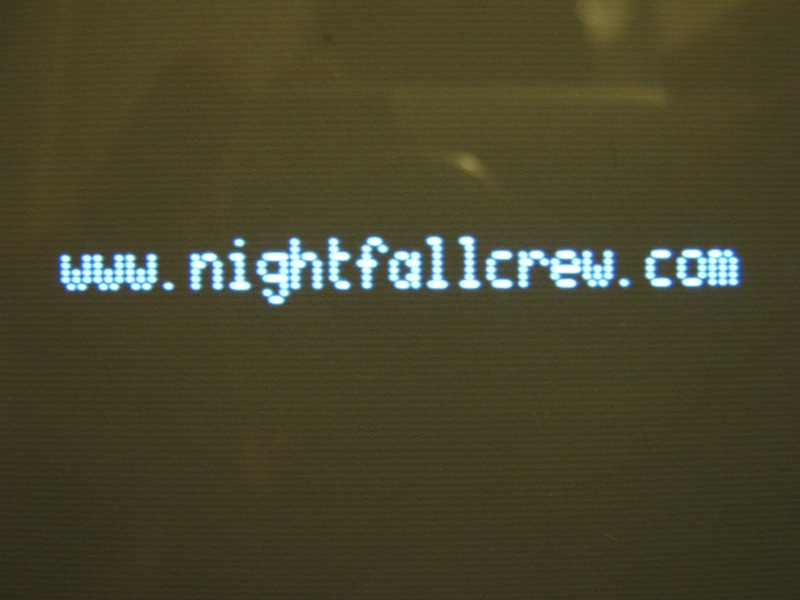 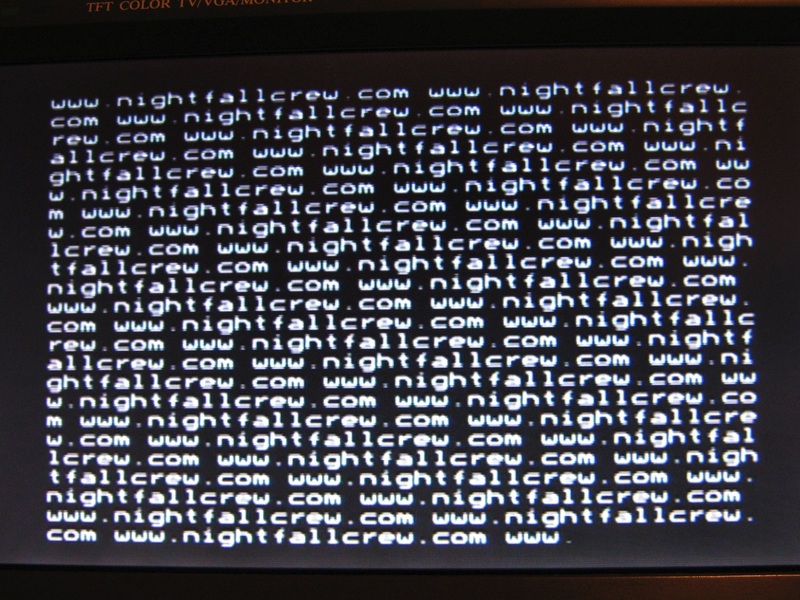 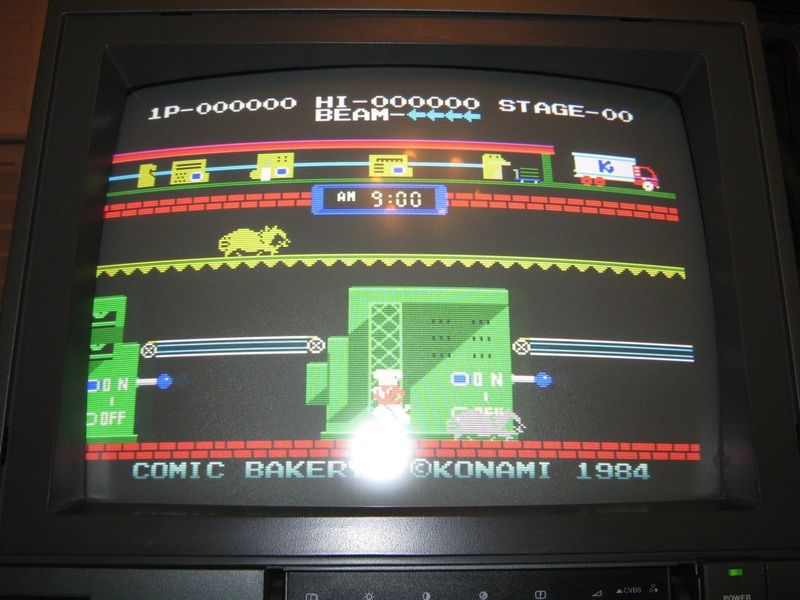 It is used to connect an optional light-gun to play the two shooting games. 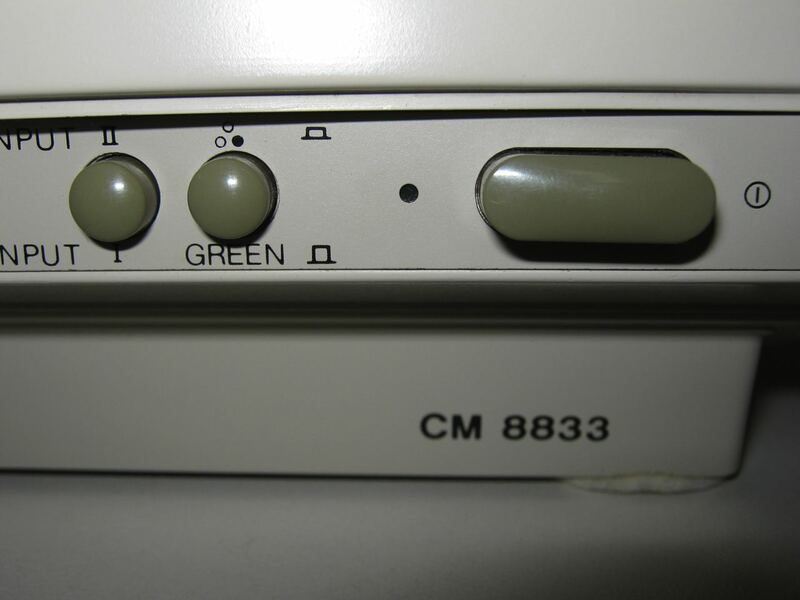 There are switches to control the different options like ball speed, paddle size, angle 20°/40°, manual/auto service. 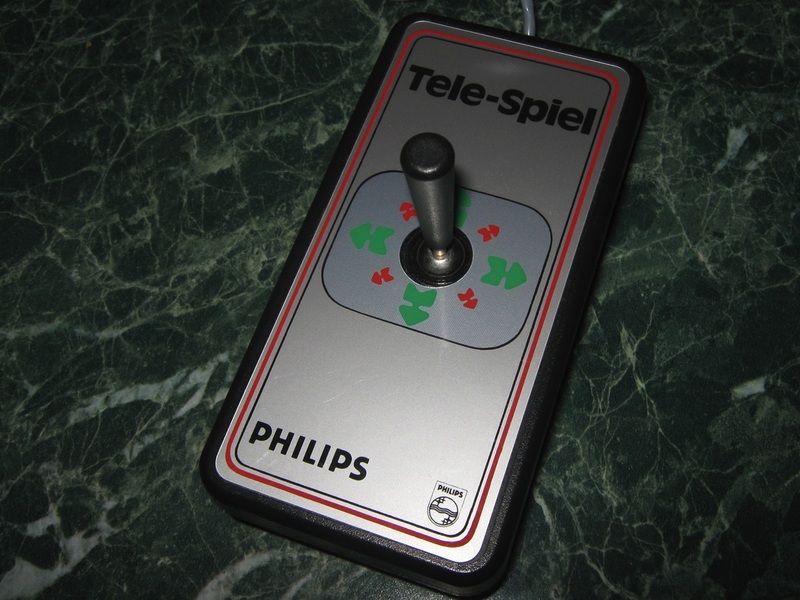 There are two buttons: reset and serve. 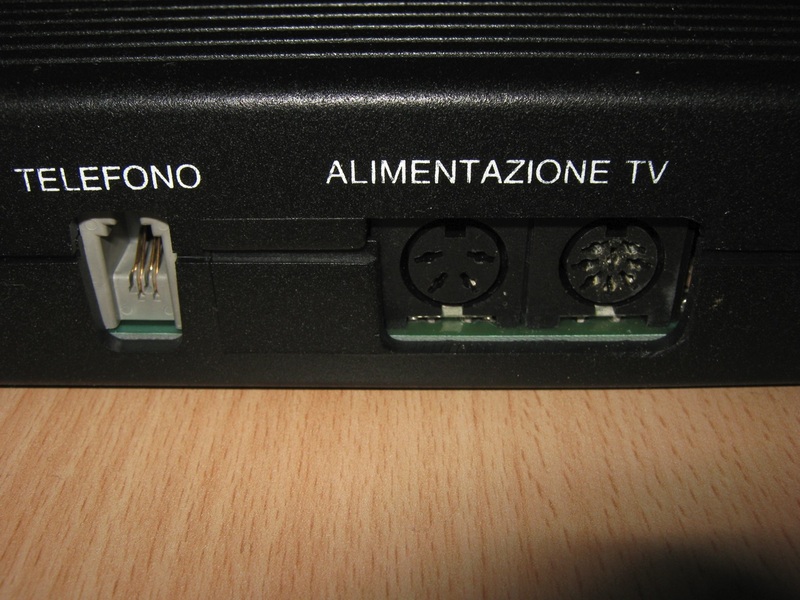 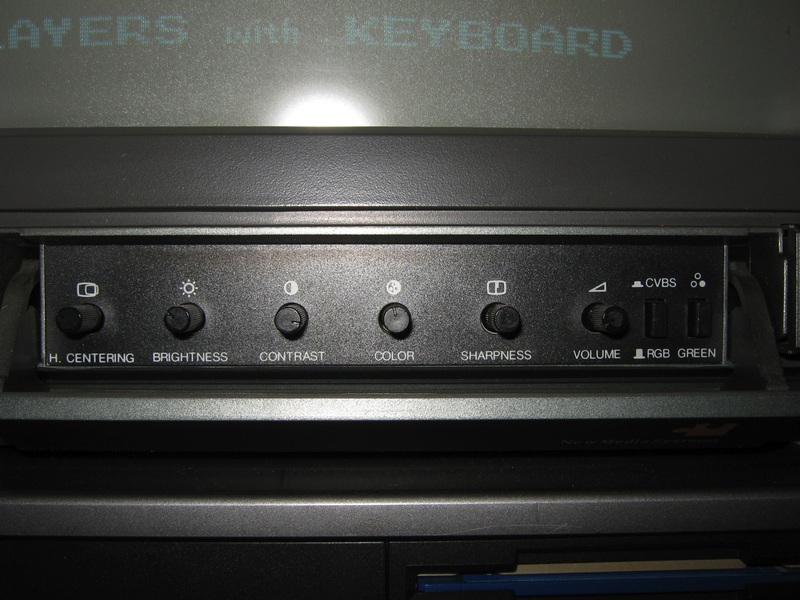 There is even a TV channel selection knob to adjust the picture on the TV. 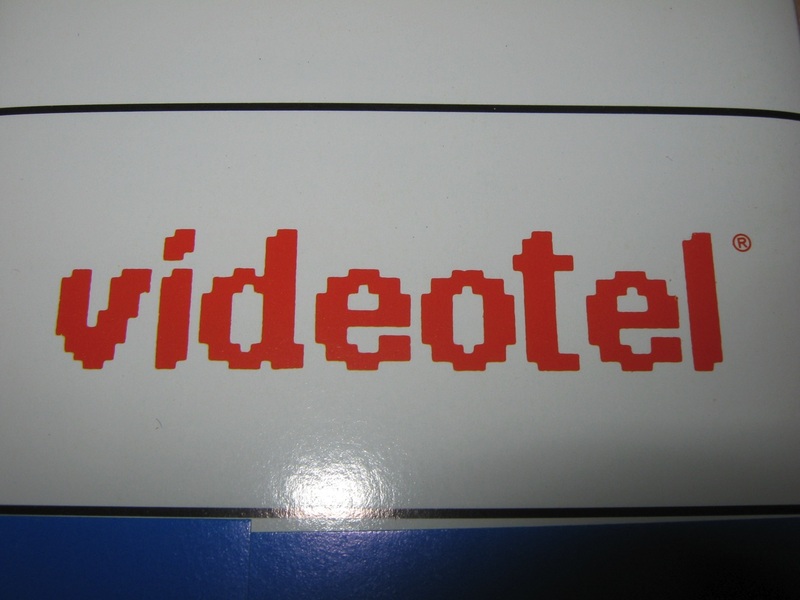 The Minitel (Videotel) was a Videotex online service accessible through the telephone lines, and is considered one of the world’s most successful pre-World Wide Web online services. 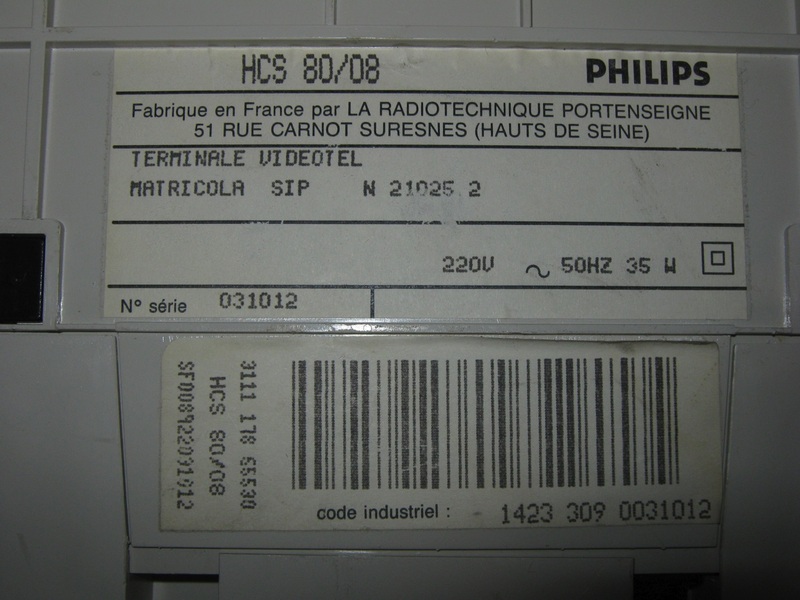 It was launched in France in 1982 by the PTT (Poste, Téléphone et Télécommunications; divided since 1991 between France Télécom and La Poste). 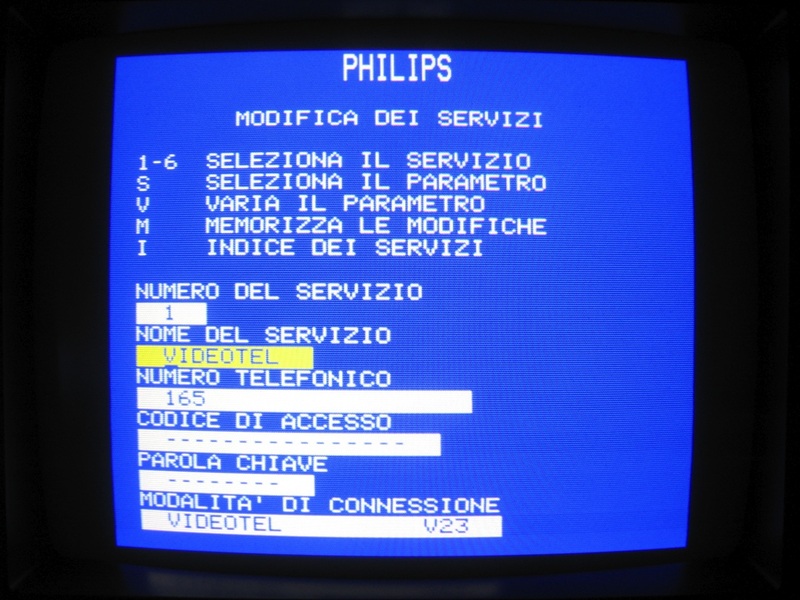 From its early days, users could make online purchases, make train reservations, check stock prices, search the telephone directory, and chat in a similar way to that now made possible by the Internet. 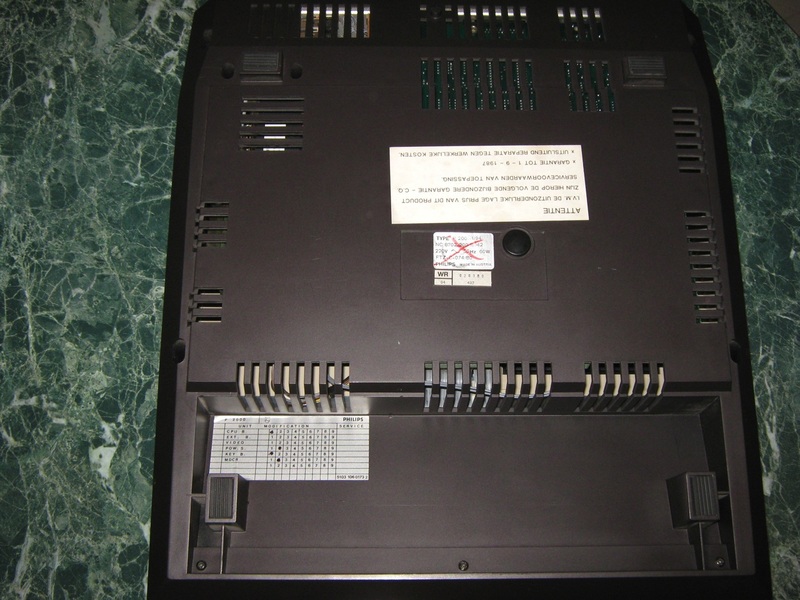 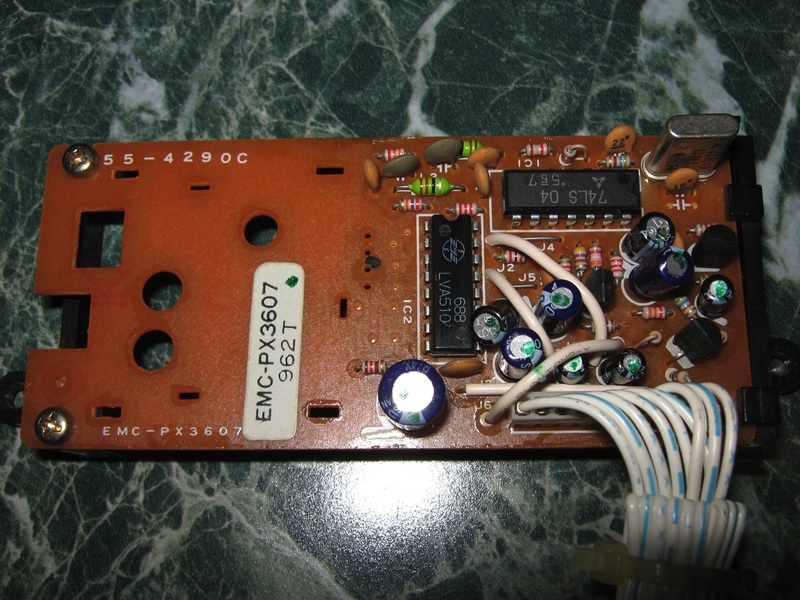 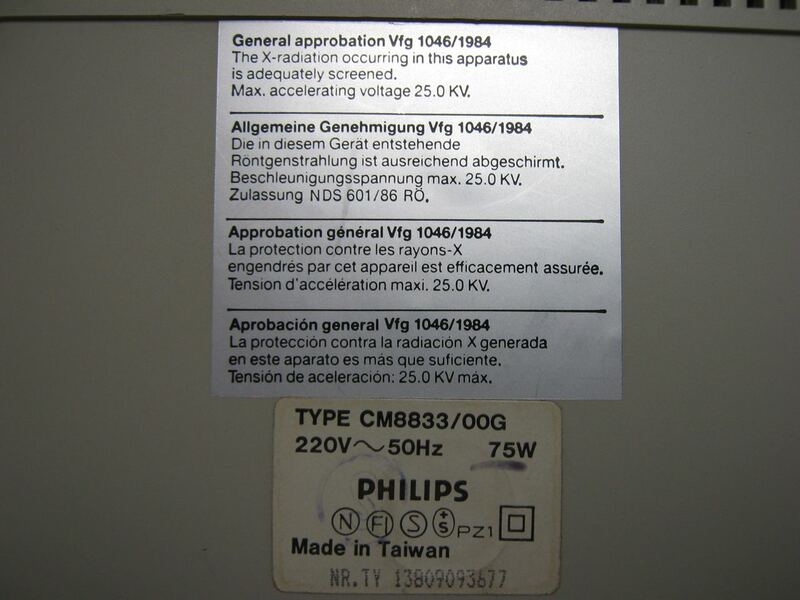 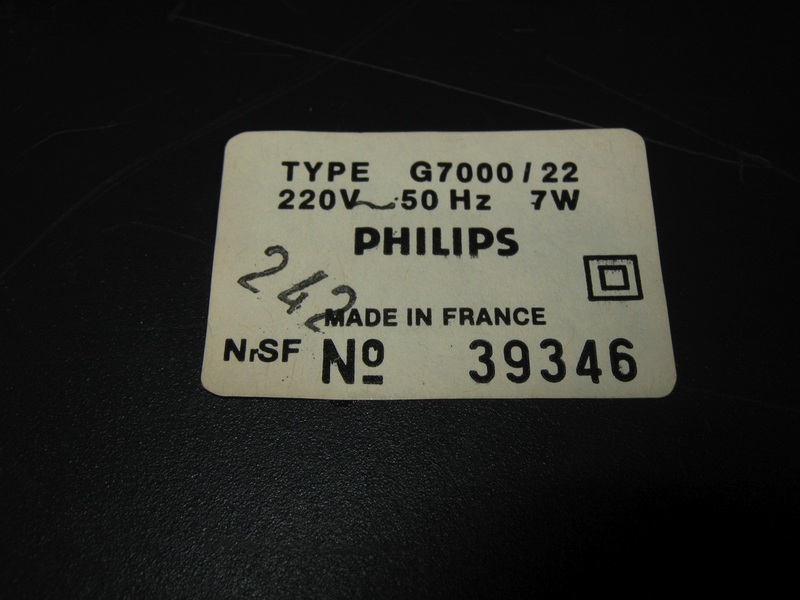 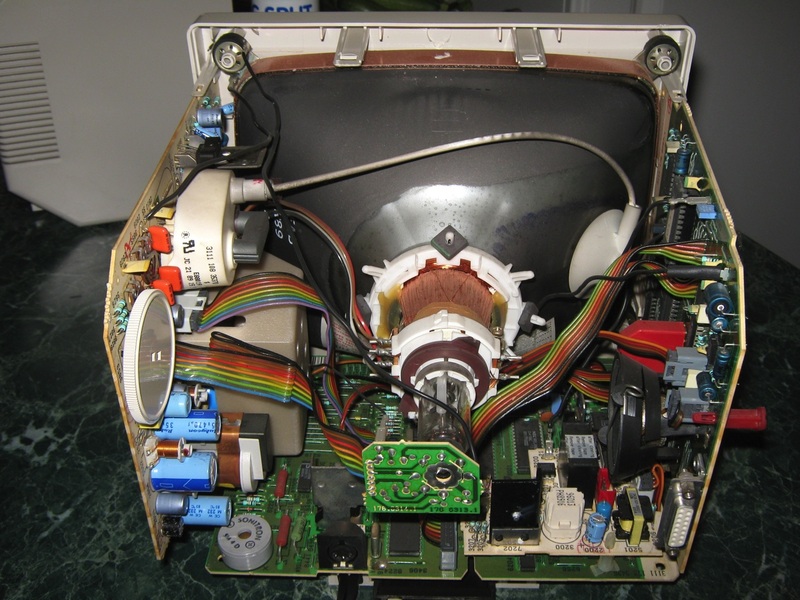 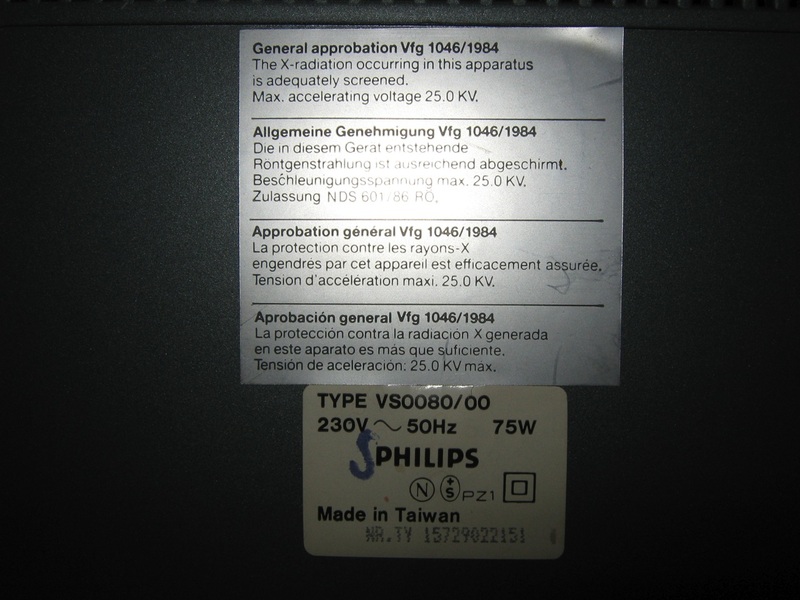 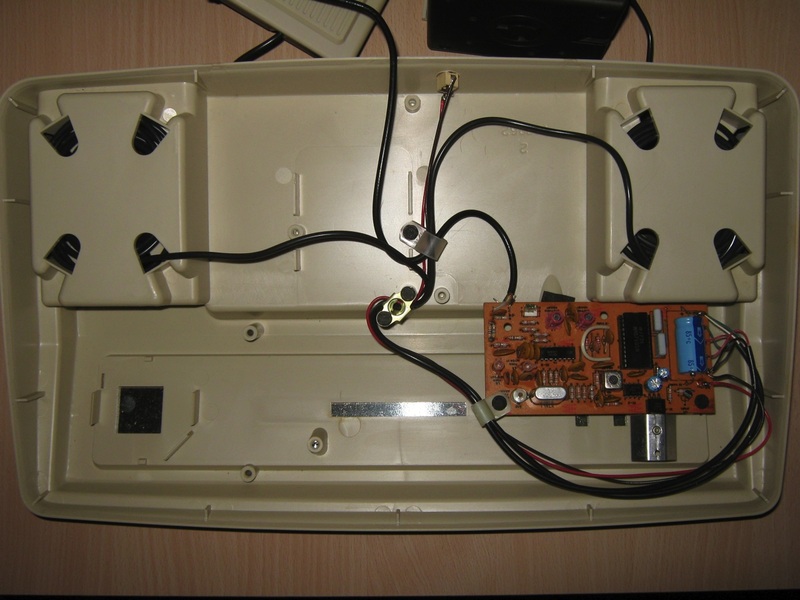 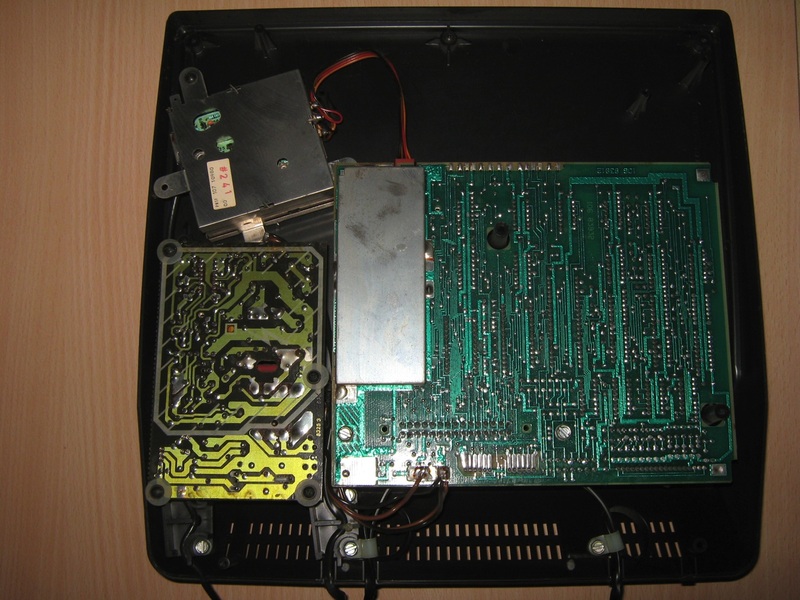 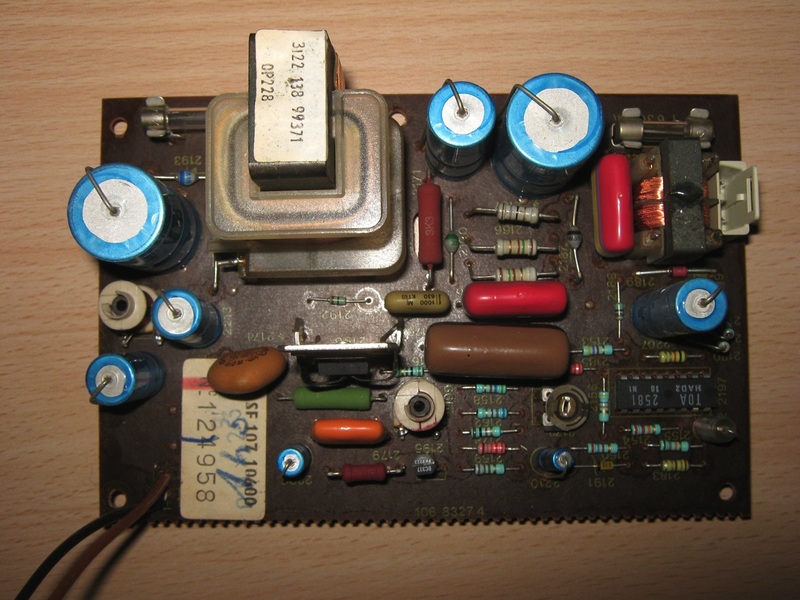 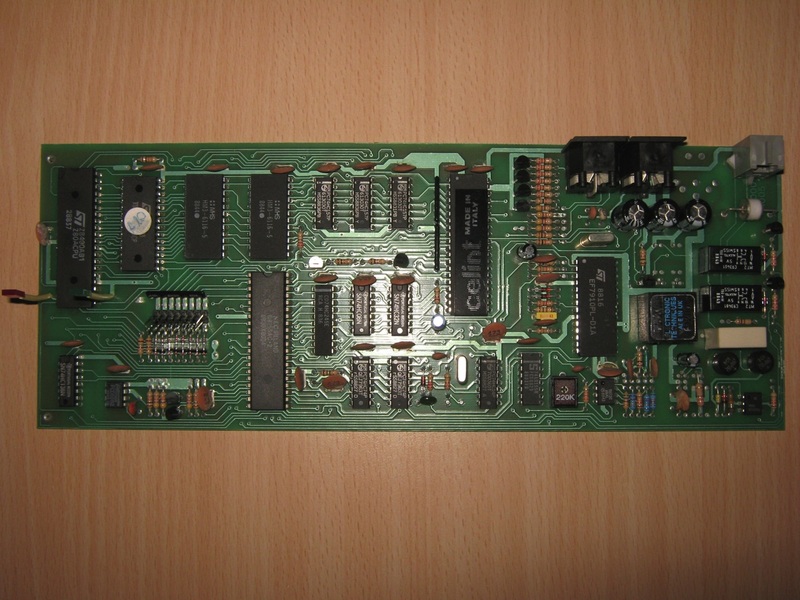 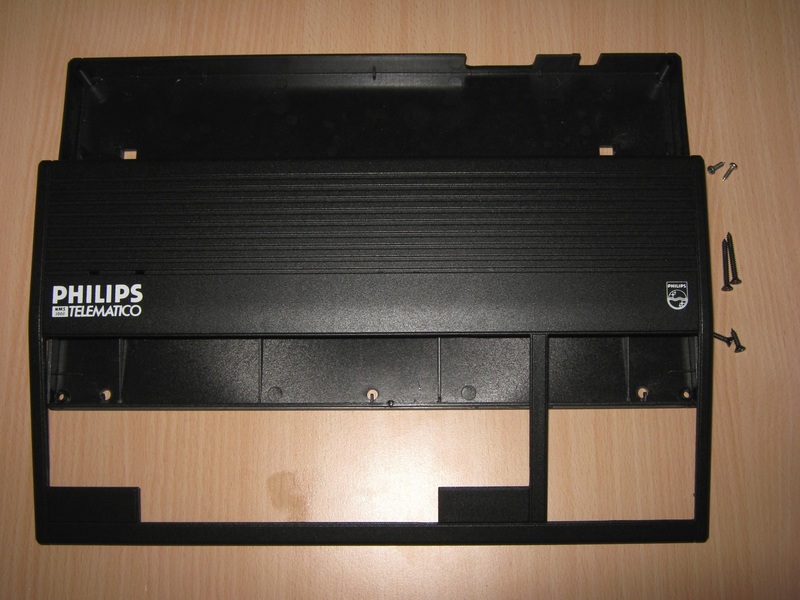 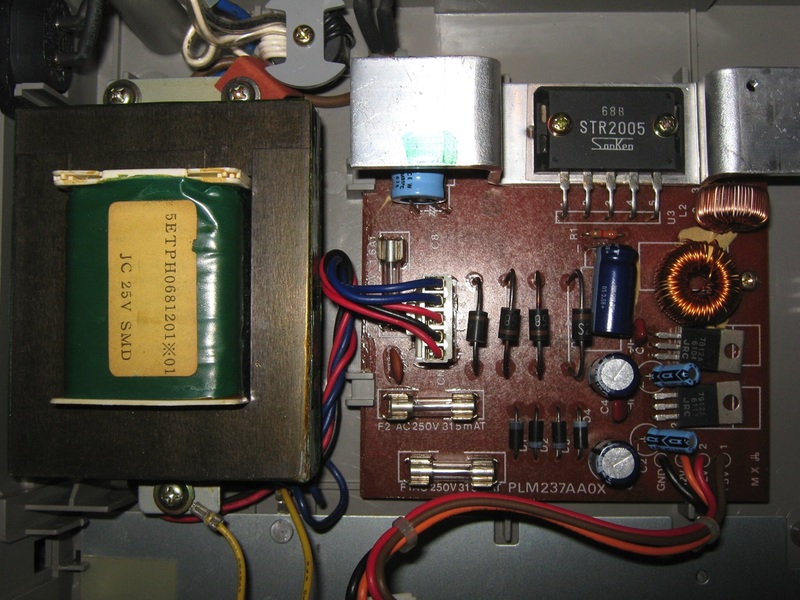 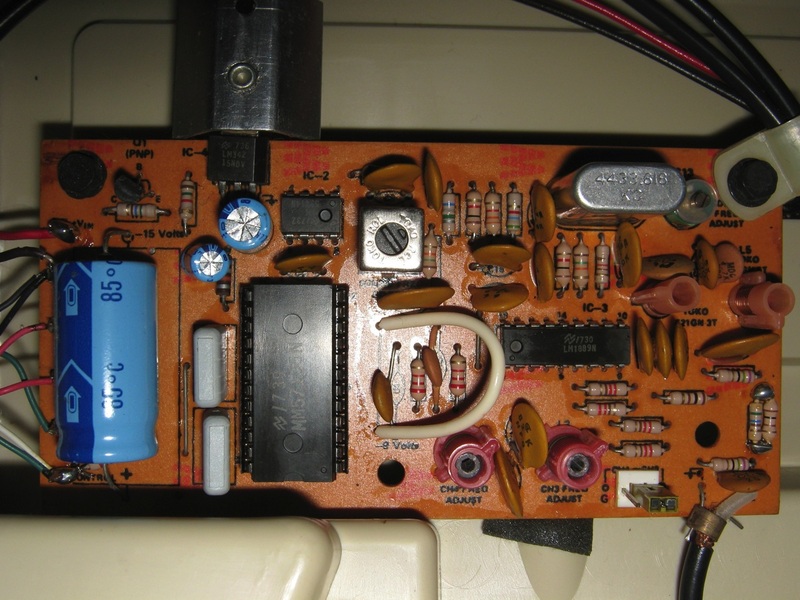 Philips Videopac G7000 (1st generation) with Powersupply Inside used for Spare Parts because missing some pieces. 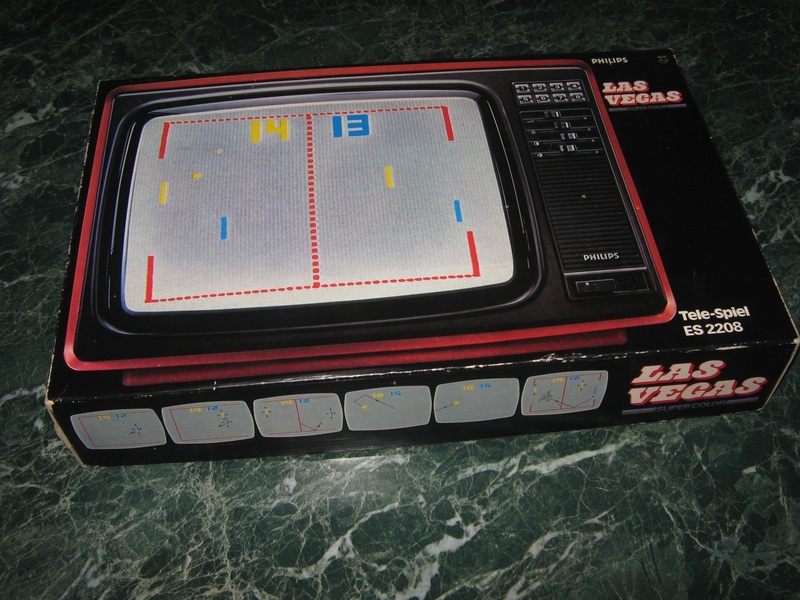 Magnavox started to export video games in 1974. 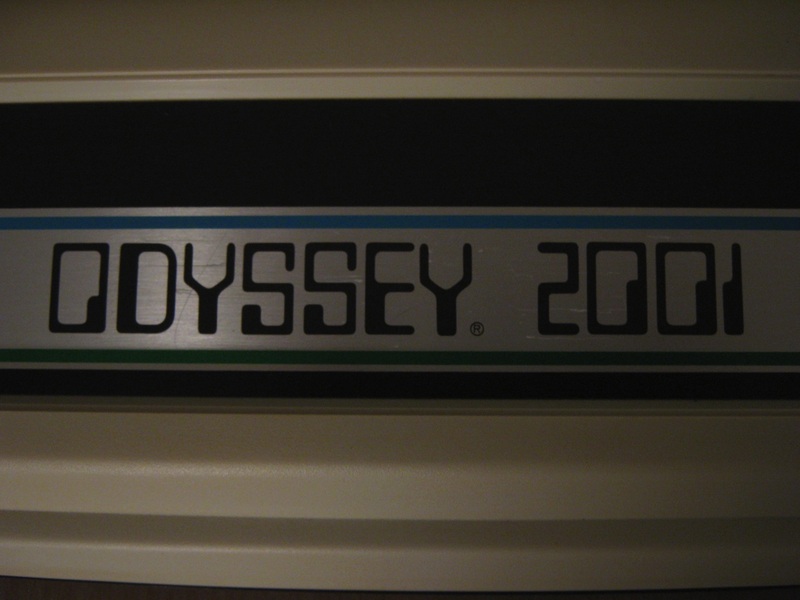 At first, Odyssey was exported in 1974 in more than ten countries. 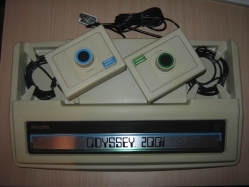 Later in 1976, Philips released the Philips Odyssey 200 in several countries including Austria and Germany. 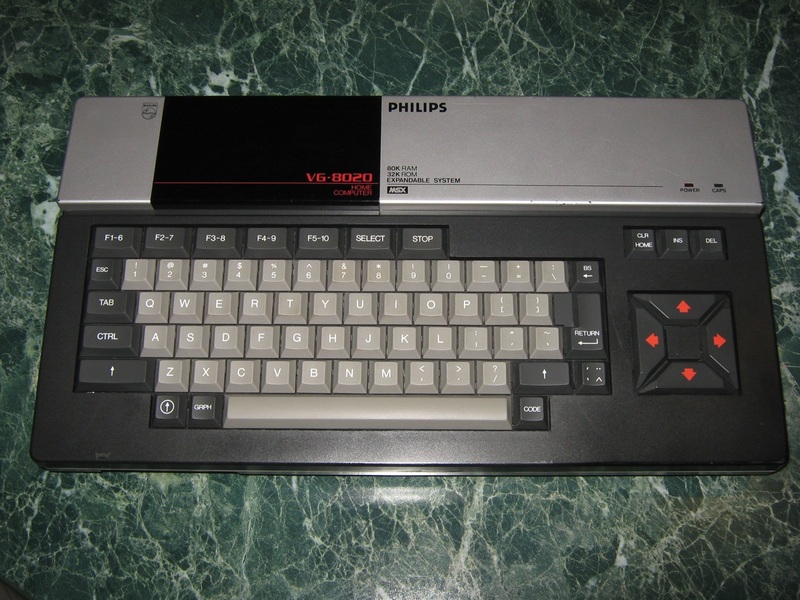 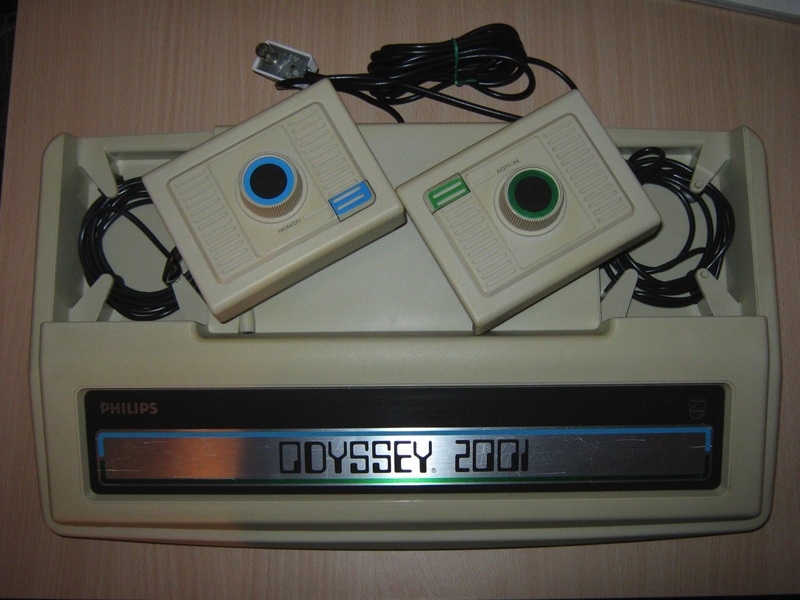 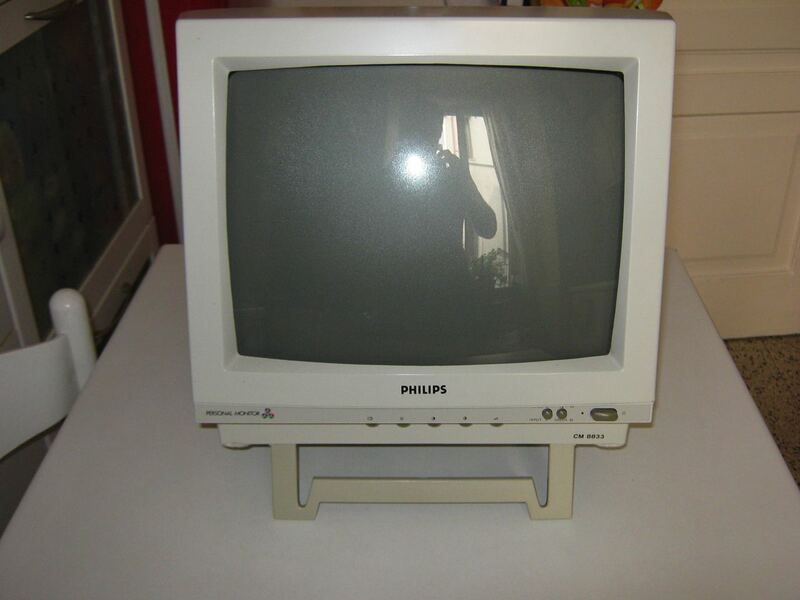 Finally, the Philips Odyssey 2001 and the Odyssey 2100 were released in 1977 and 1978. 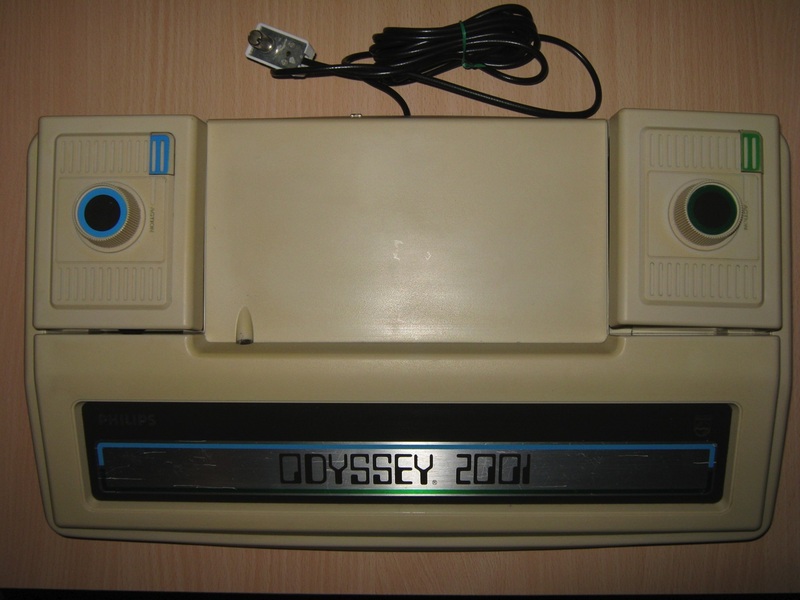 The Odyssey 2001 is nearly same as the Magnavox Odyssey 4000, but it didn’t play the same games. 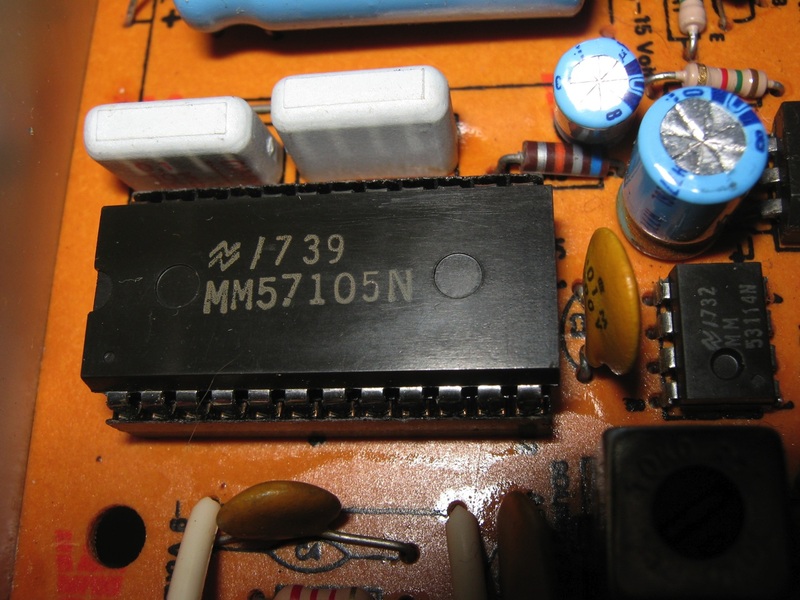 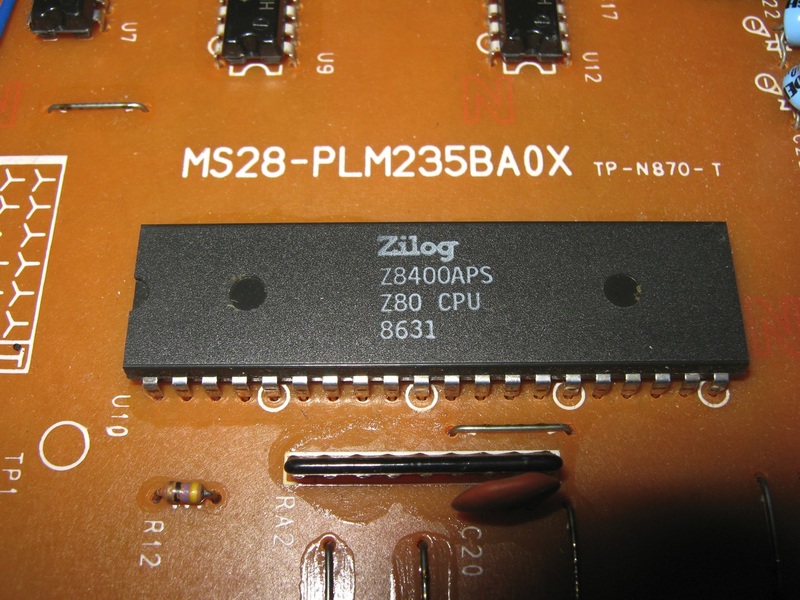 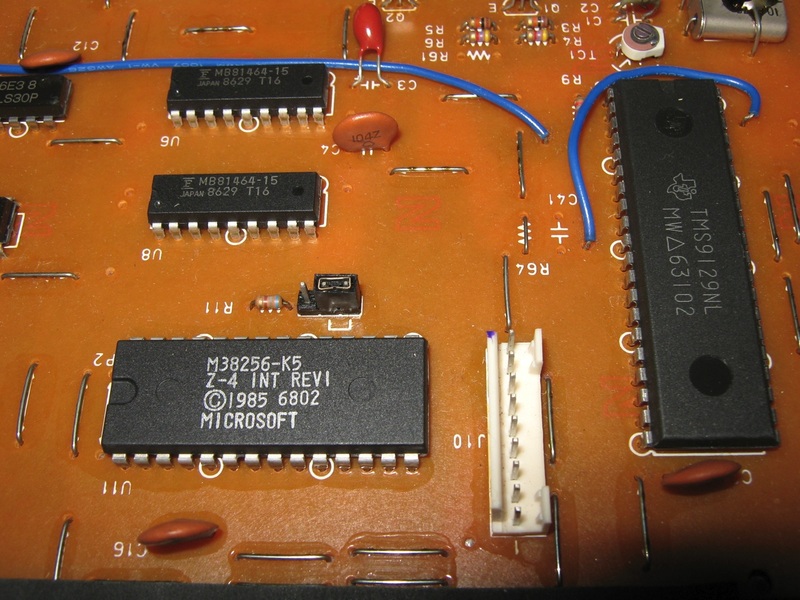 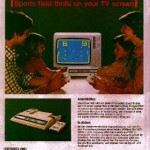 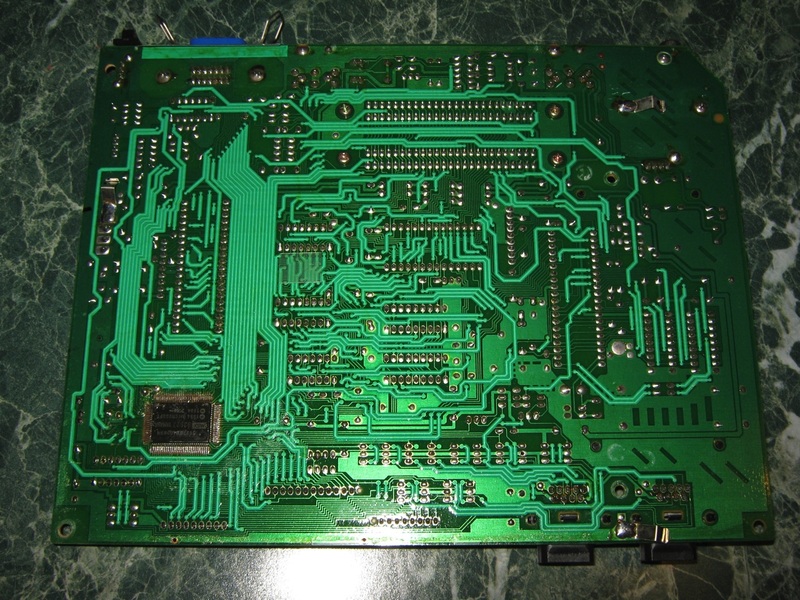 Designed around the National Semiconductor MM-57105 chip, it played three games in color: Tennis, Hockey and Squash. 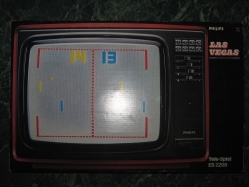 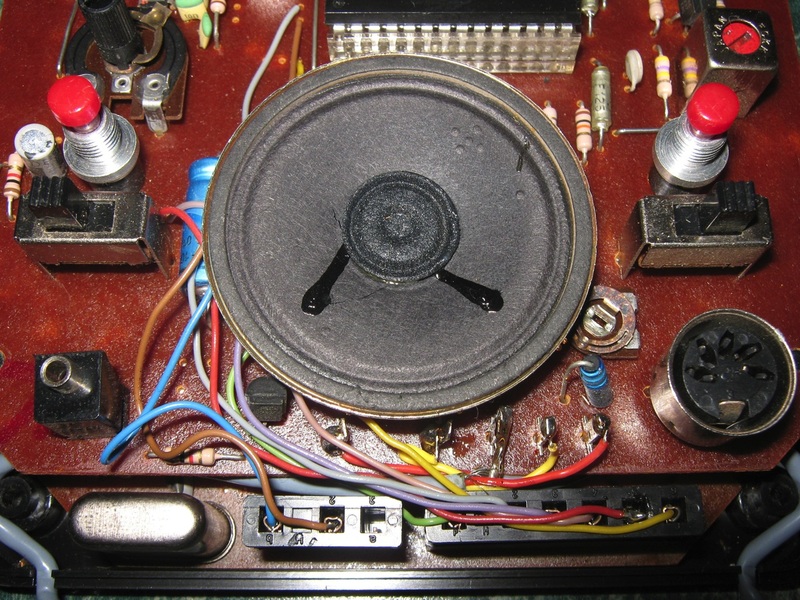 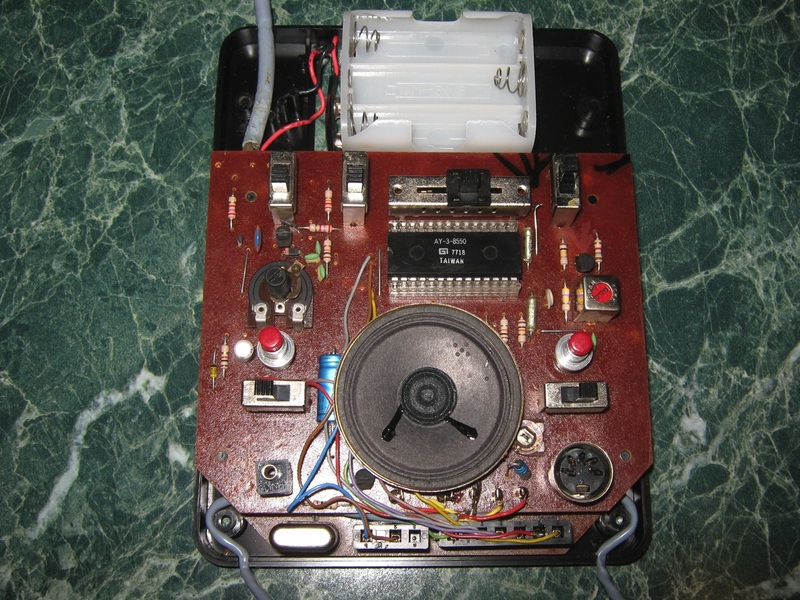 Unlike most PONG games, sound came directly from the TV set. 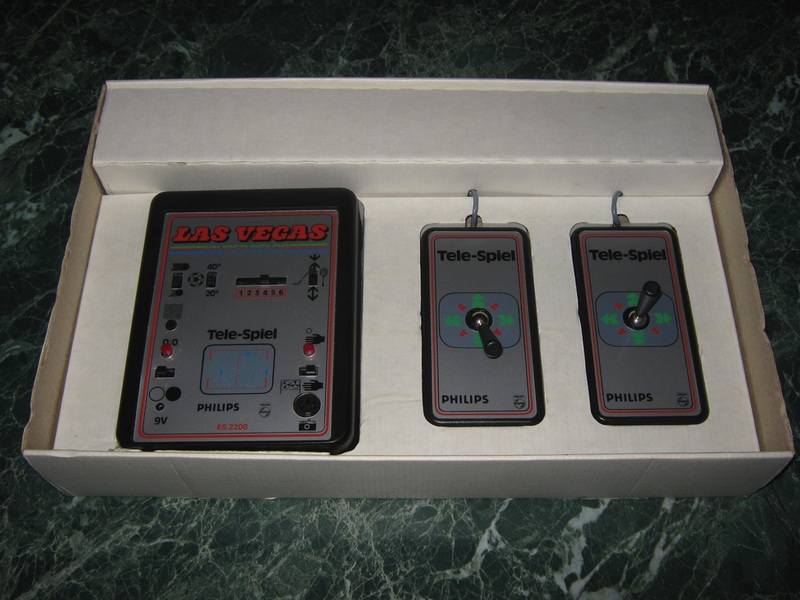 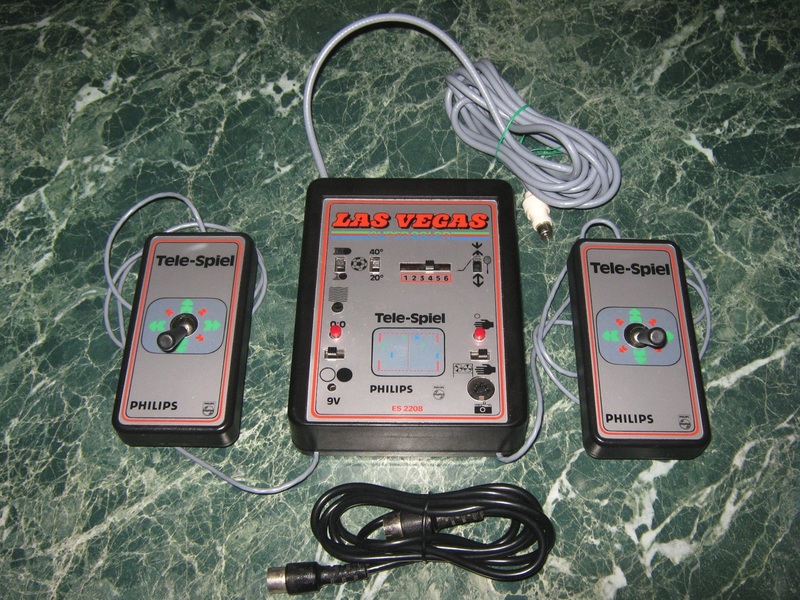 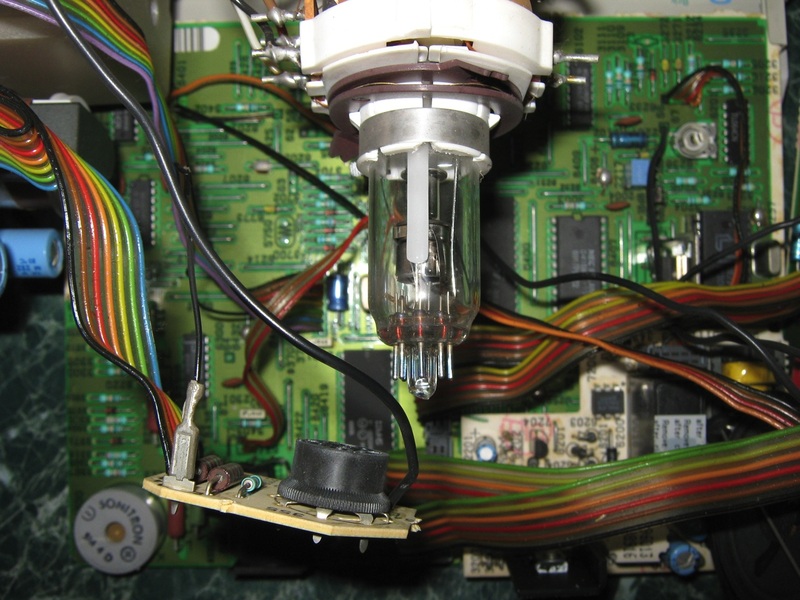 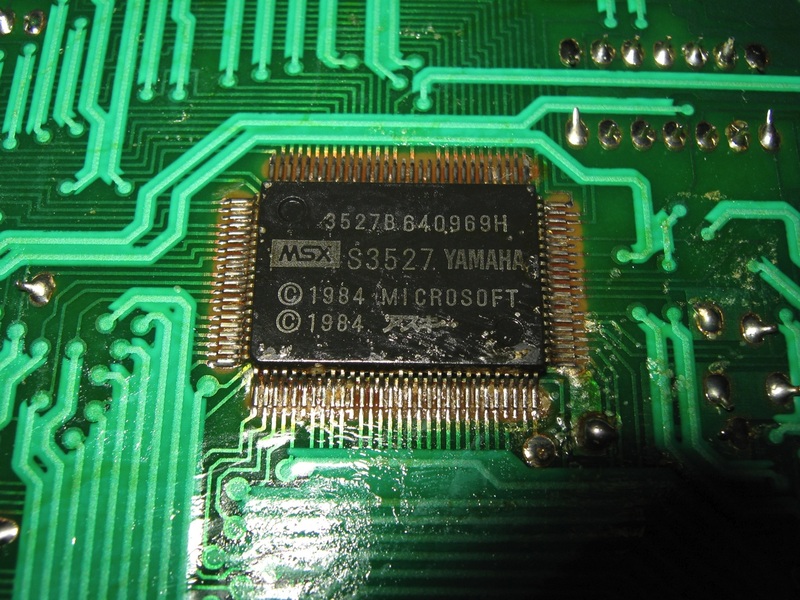 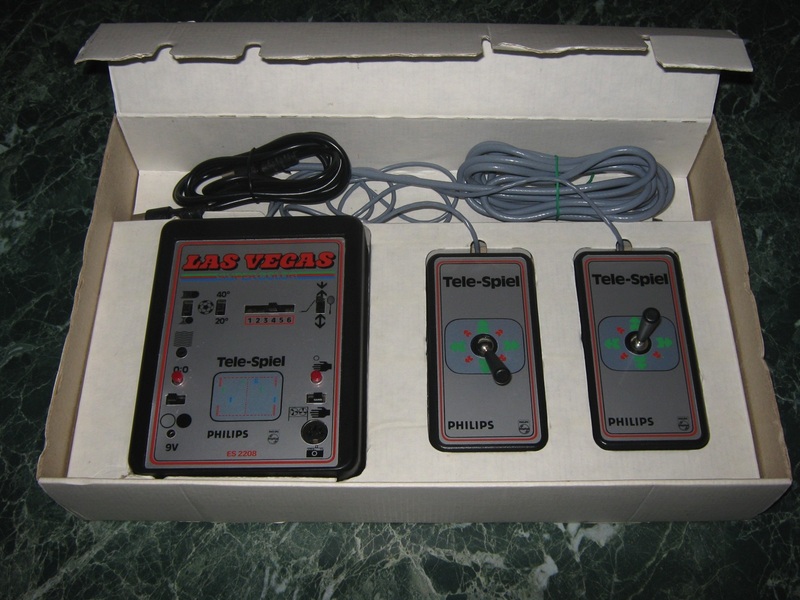 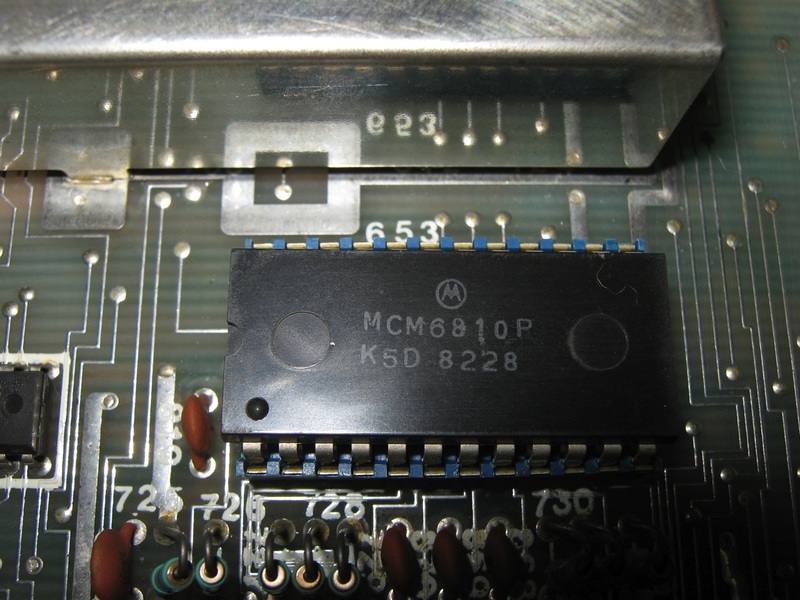 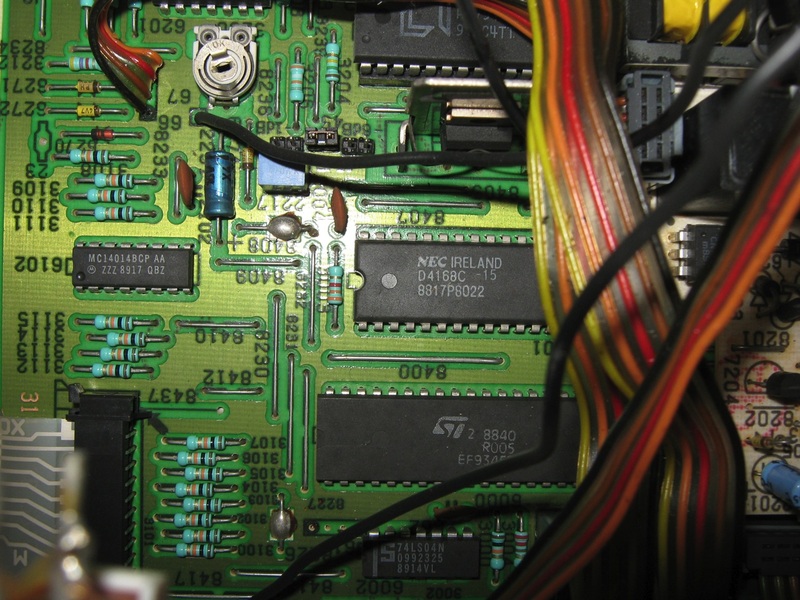 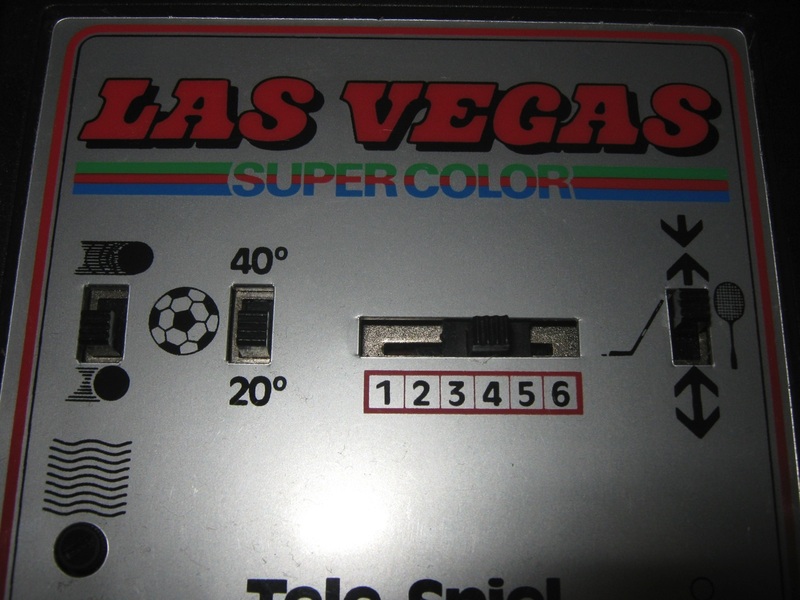 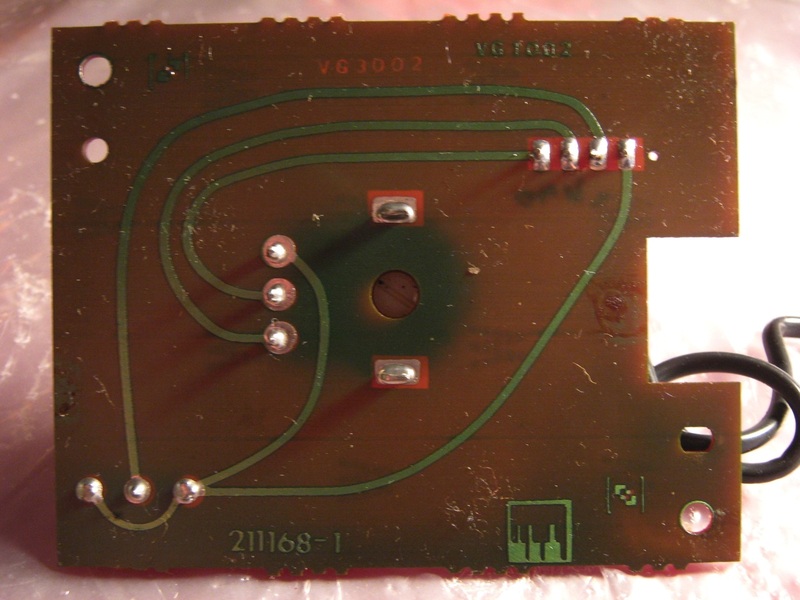 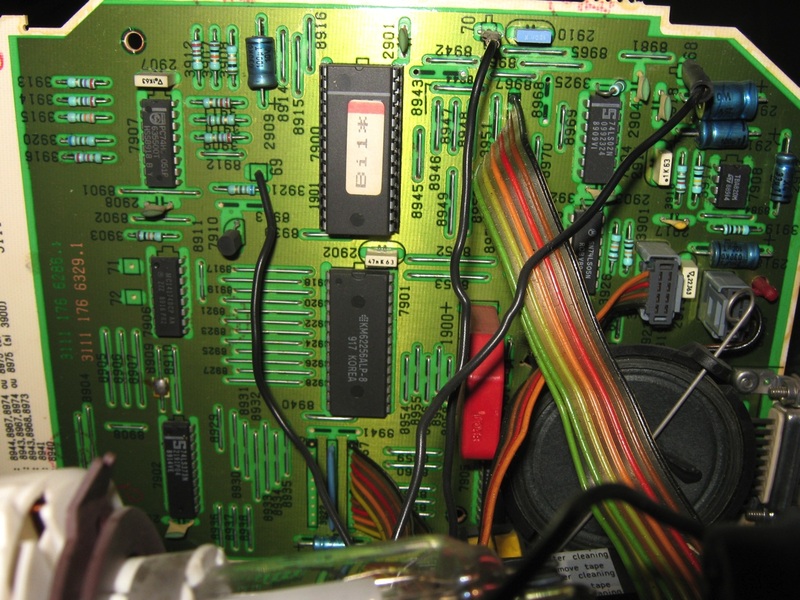 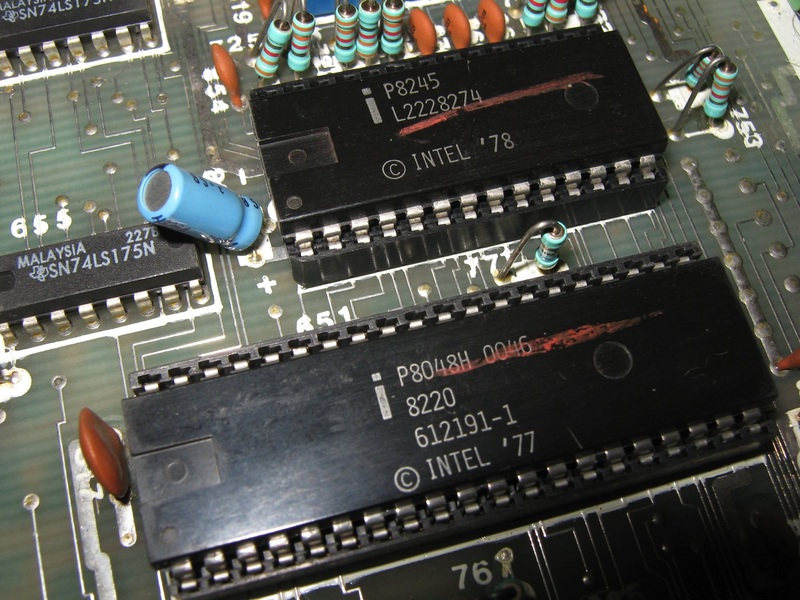 The chip delivered color video signals, as opposed to the black and white games of the General Instruments game chips, which could use a special color encoder chip. 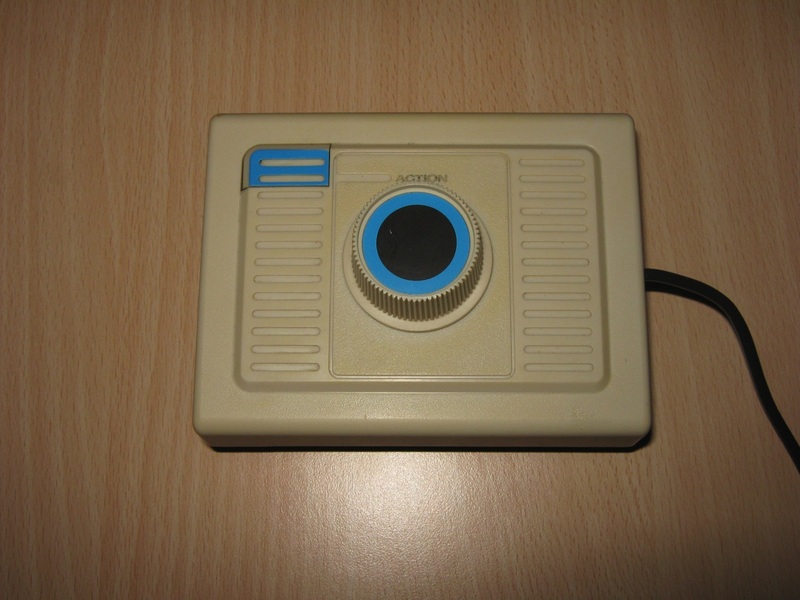 The game selection was simply done by pressing the button of one of the two controllers, allowing the players to switch from a game to another. 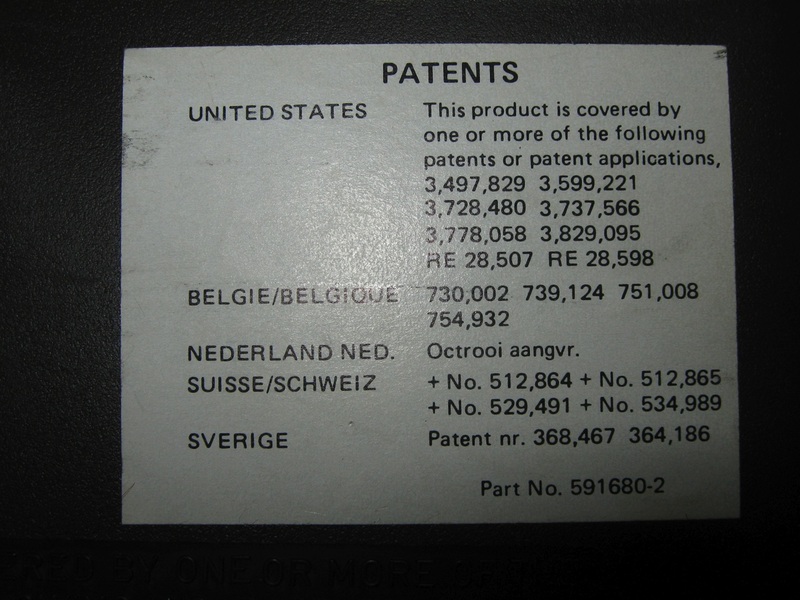 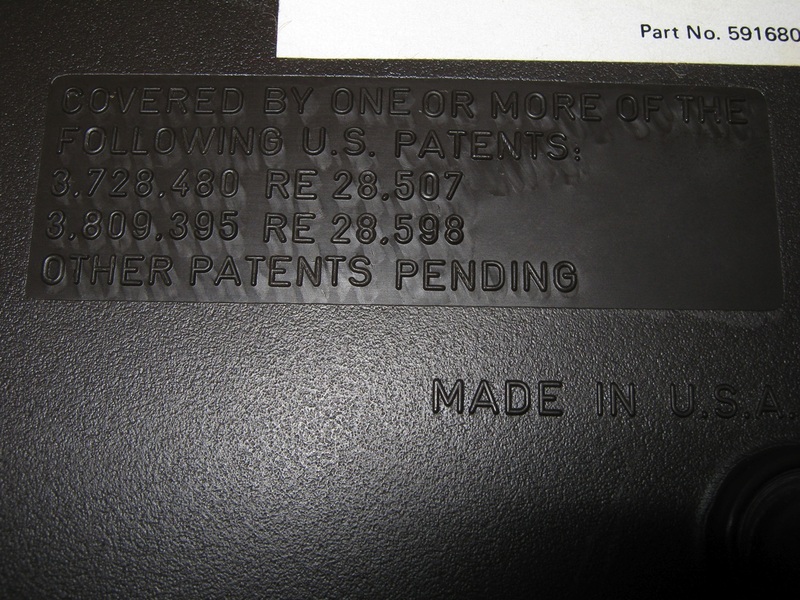 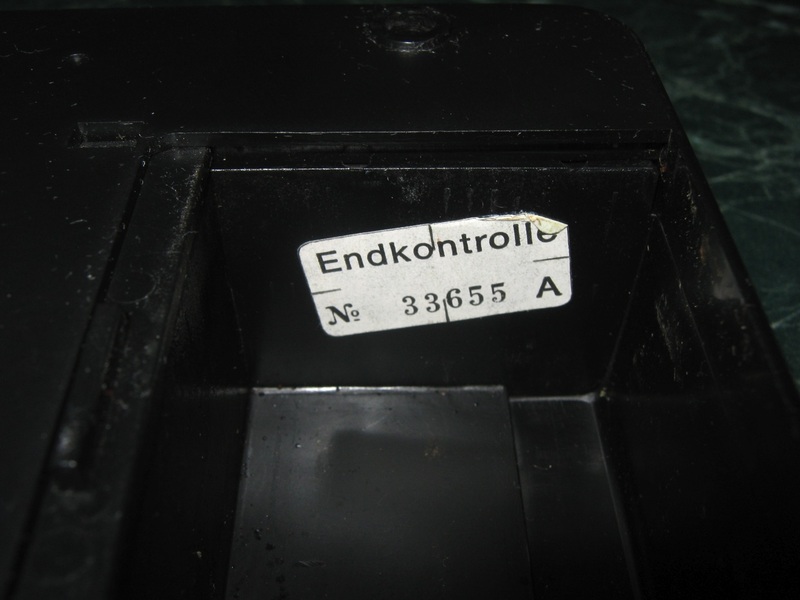 The documentation of this console exists in ten languages, although only four foreign patents are shown on the back side of the system. 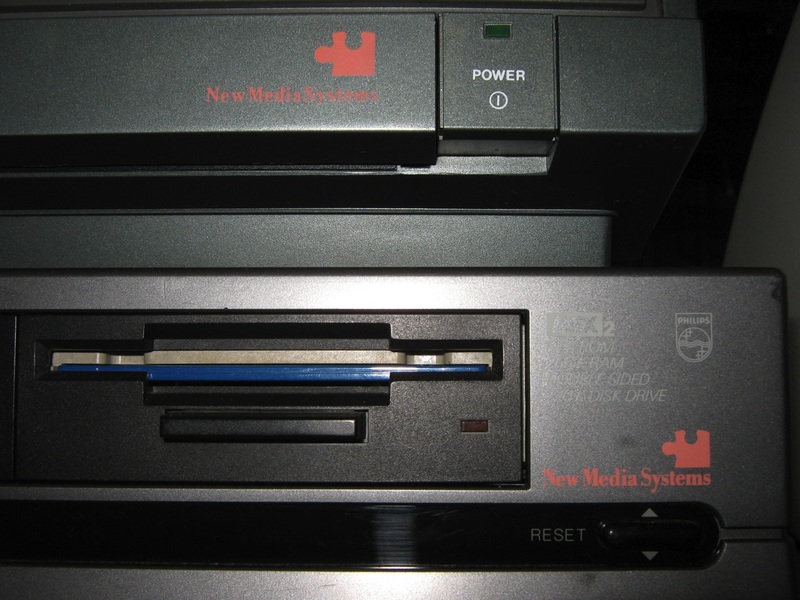 The exact number of countries where this system sold is still unknown. 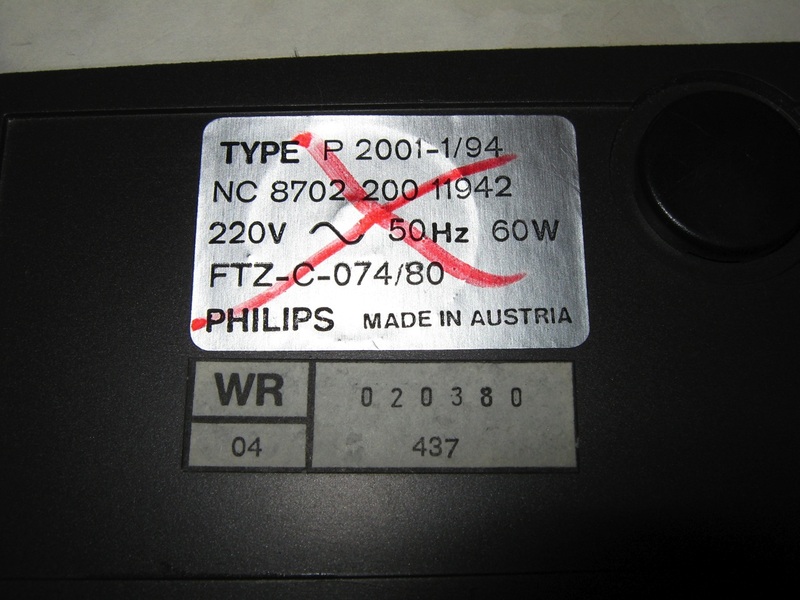 This system is quite common, and Germany seems to be the country where it was most successfull. 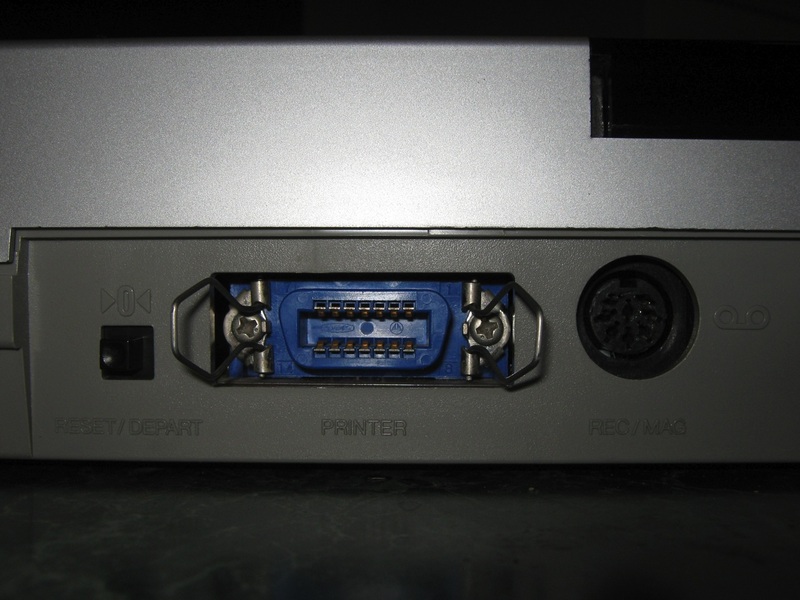 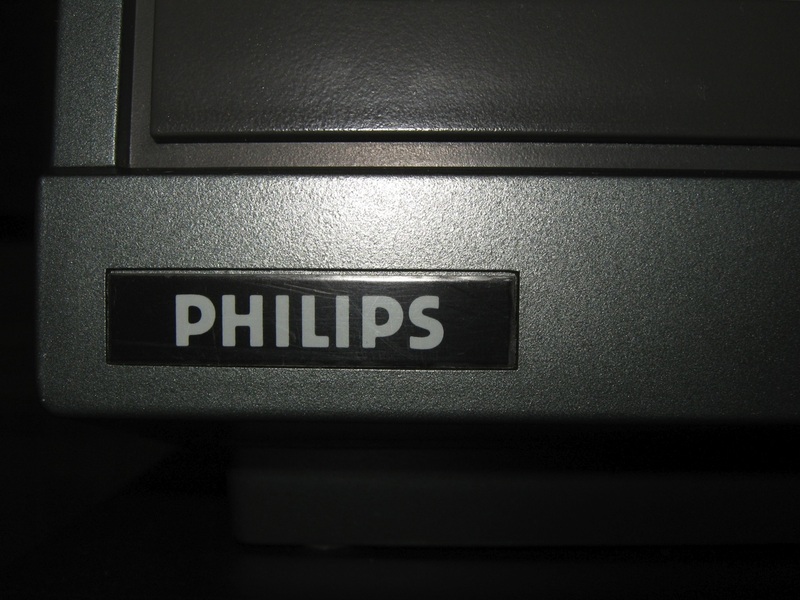 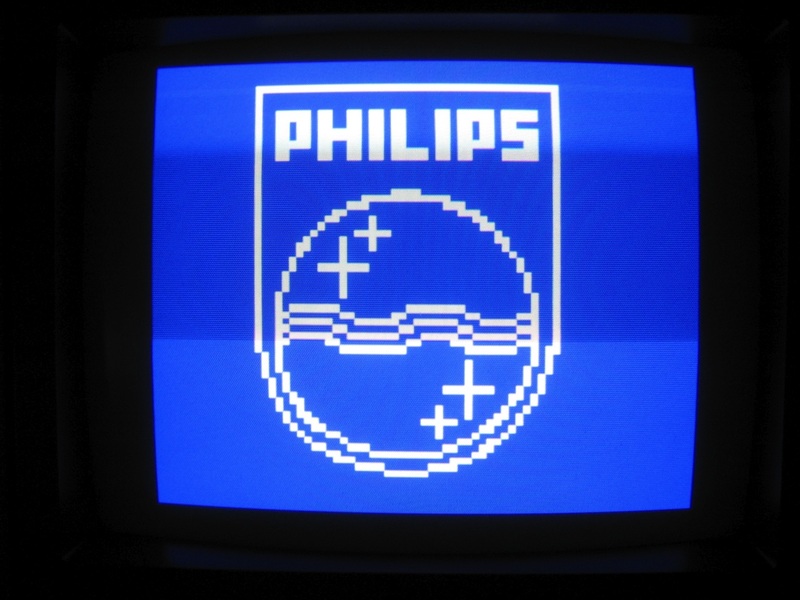 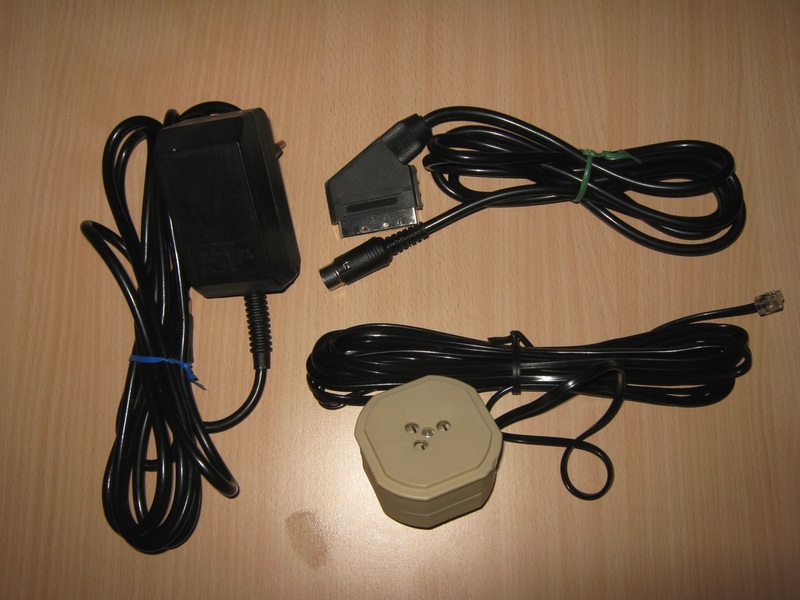 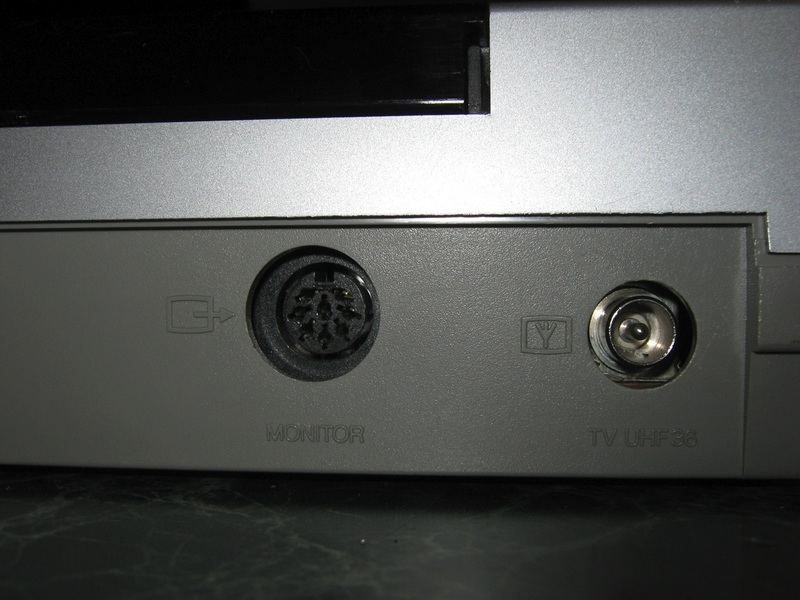 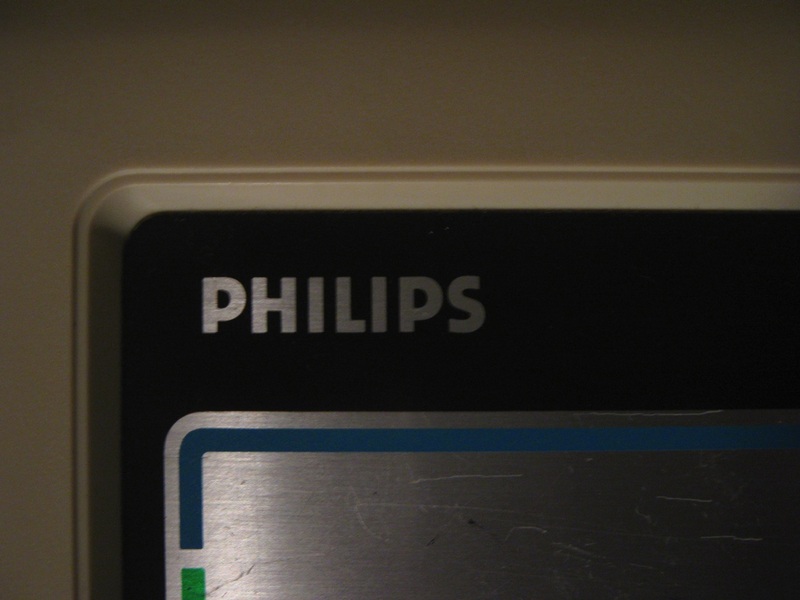 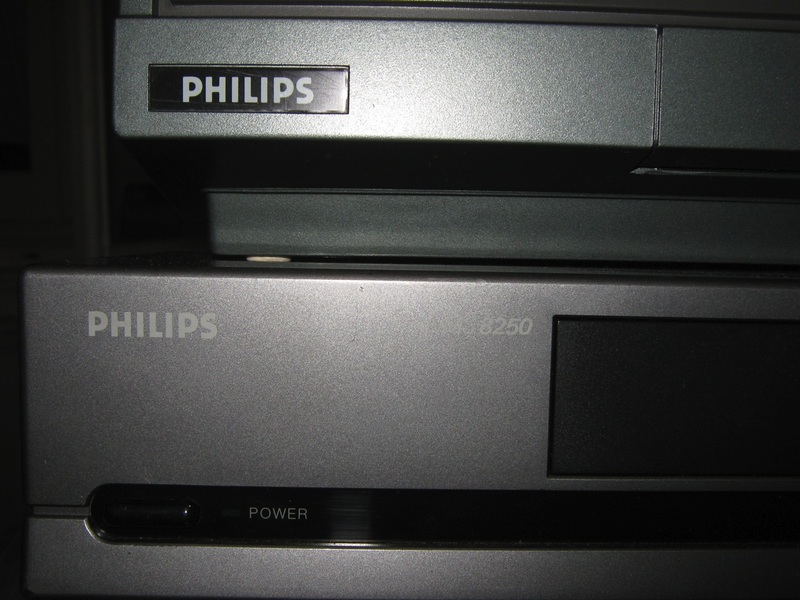 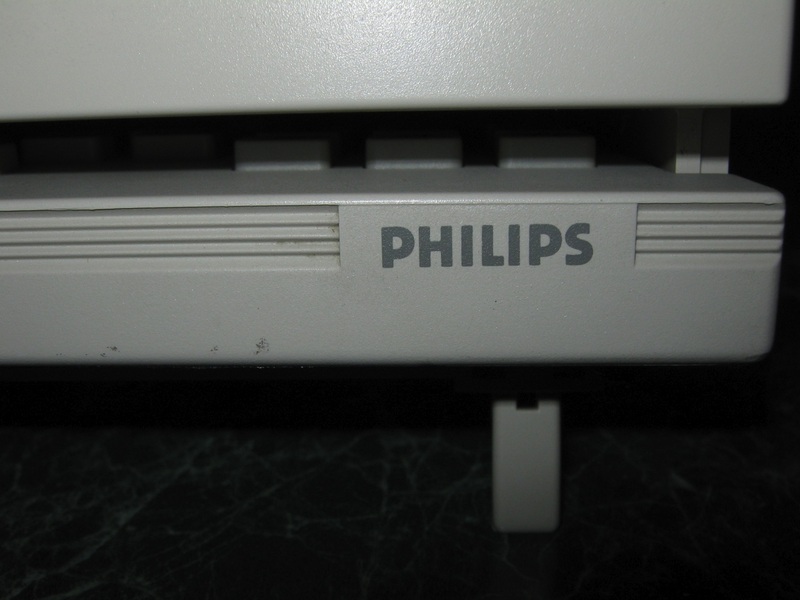 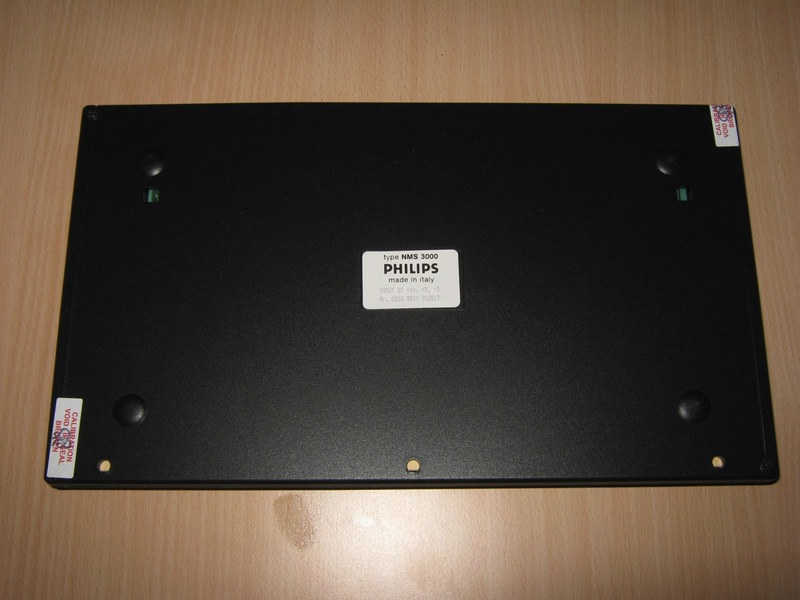 The Philips CM8833 has an RGB connector which can accept both analogue and digital RGB signal and a RCA connector for Composite signal.